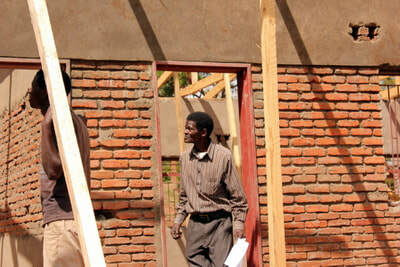 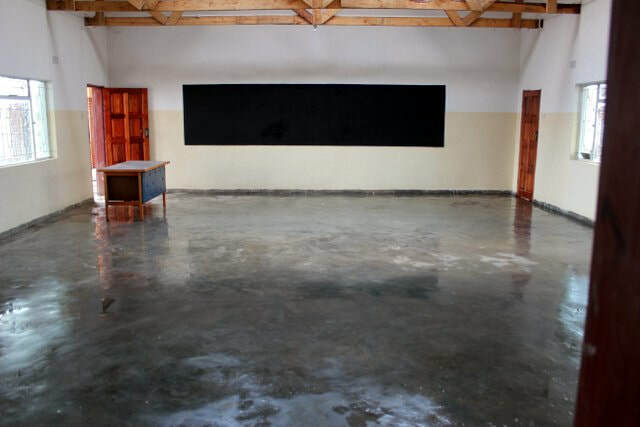 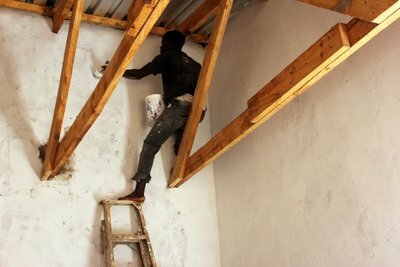 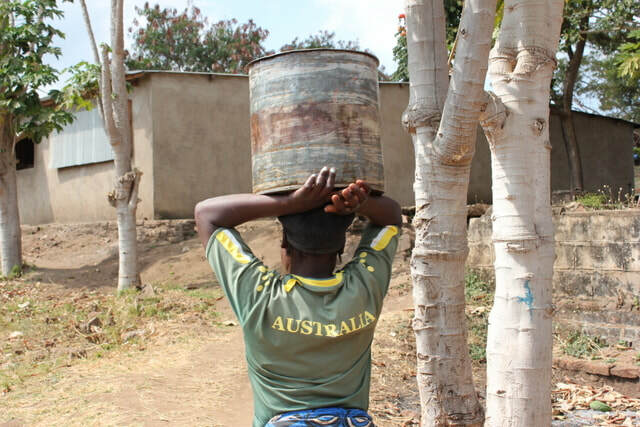 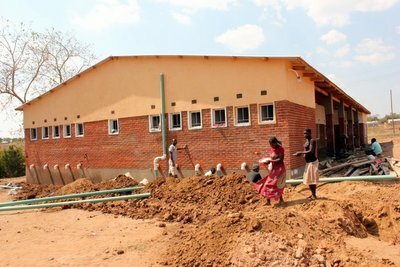 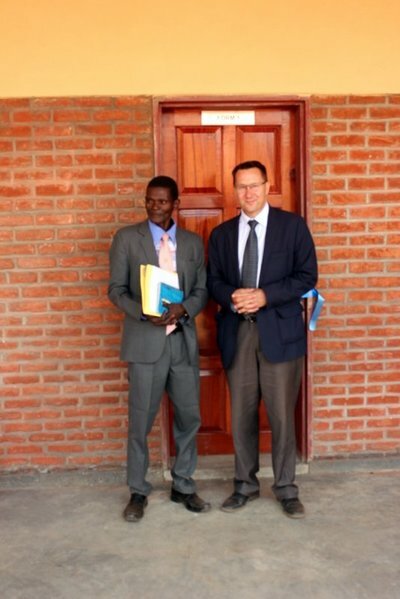 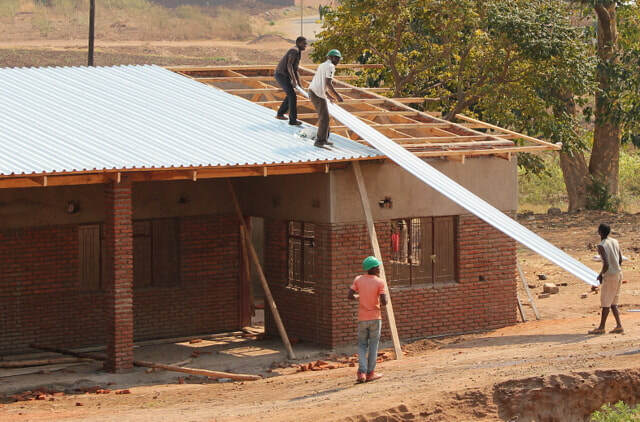 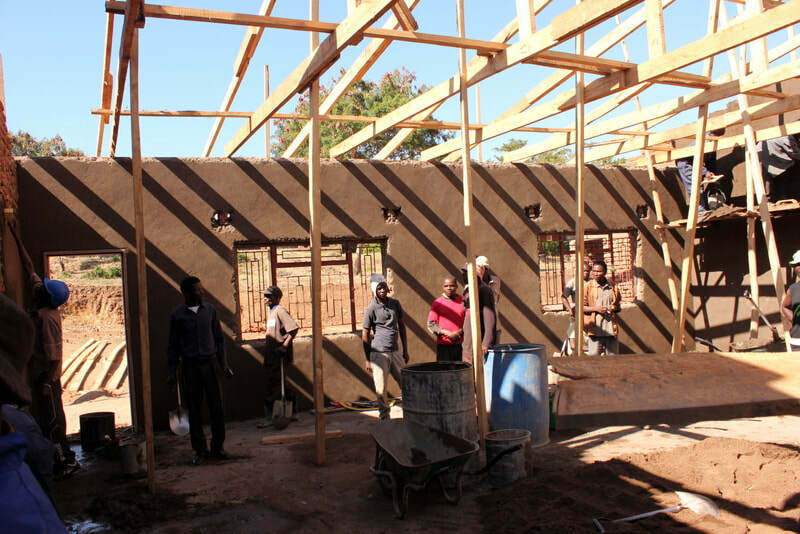 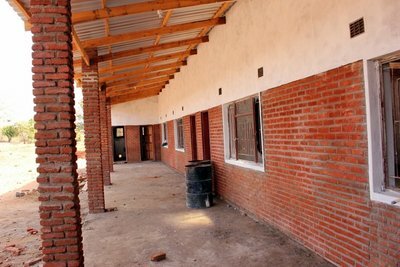 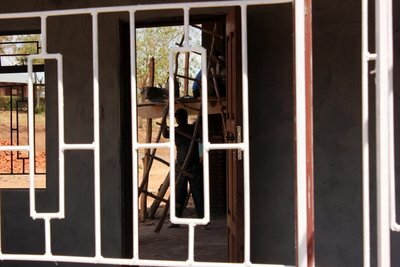 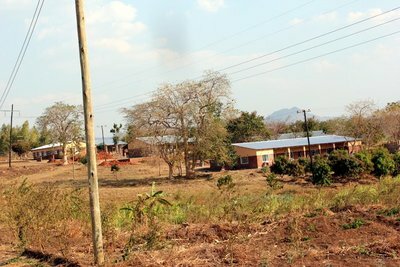 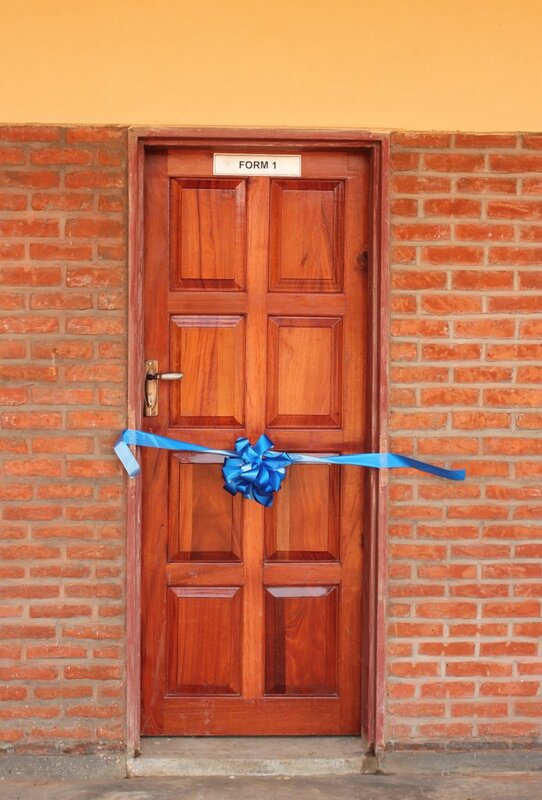 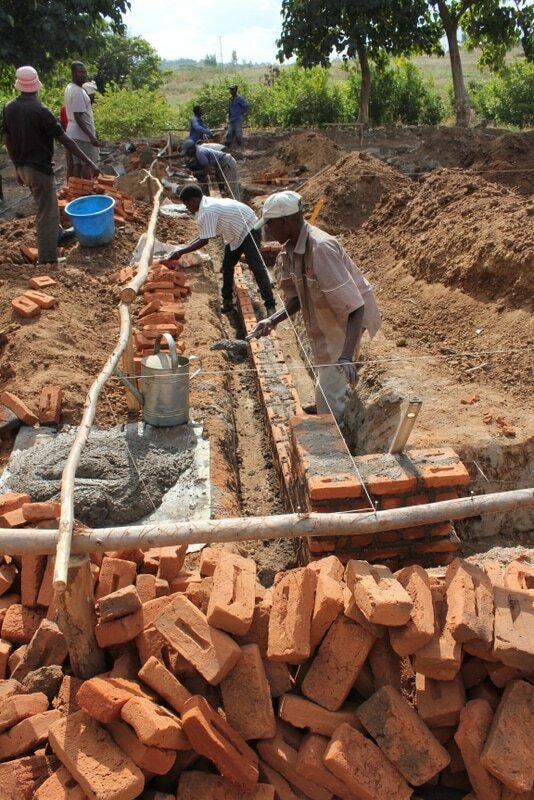 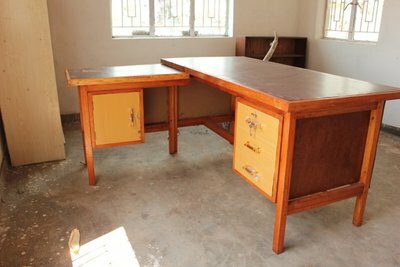 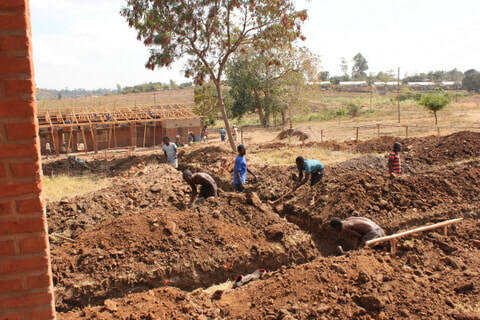 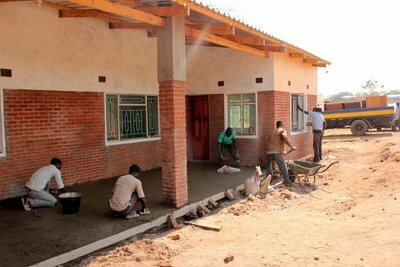 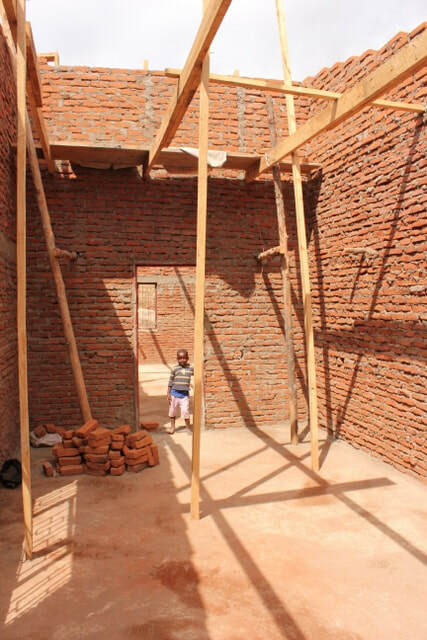 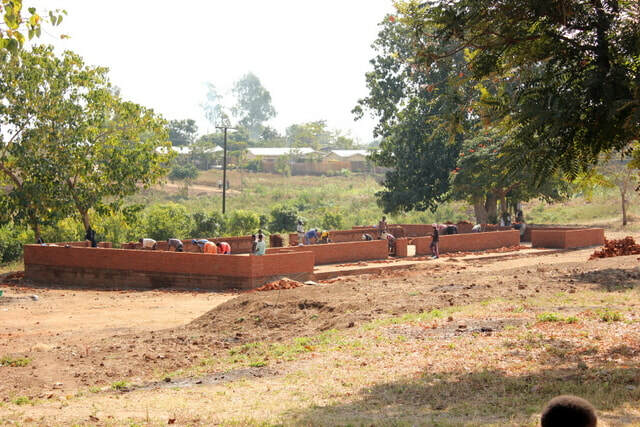 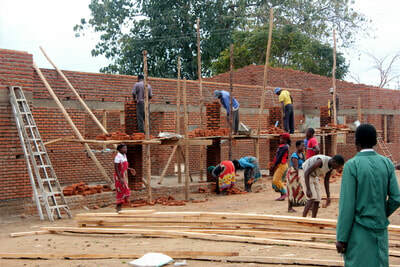 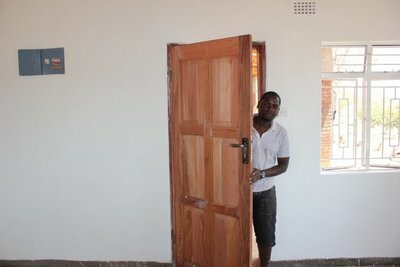 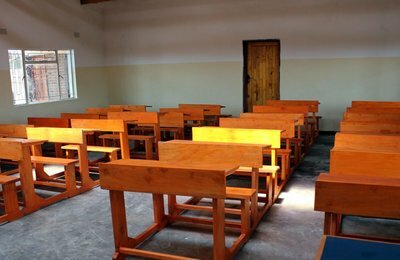 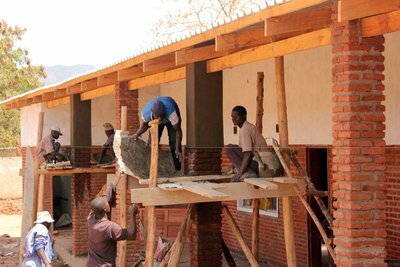 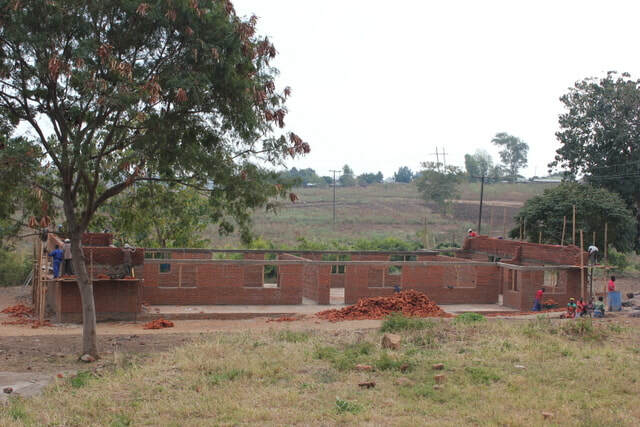 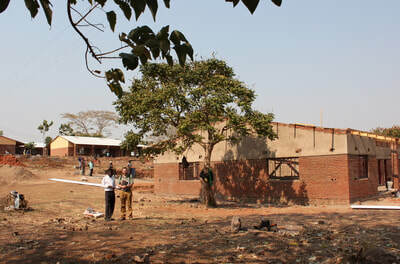 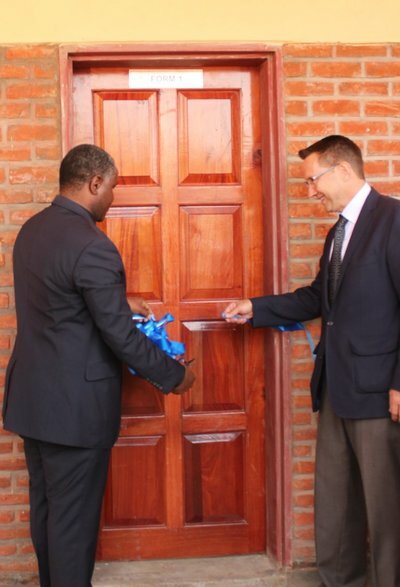 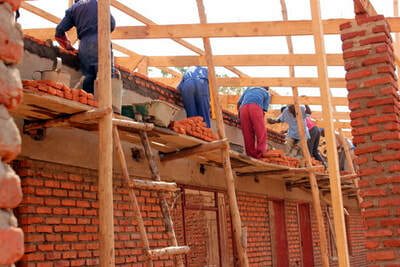 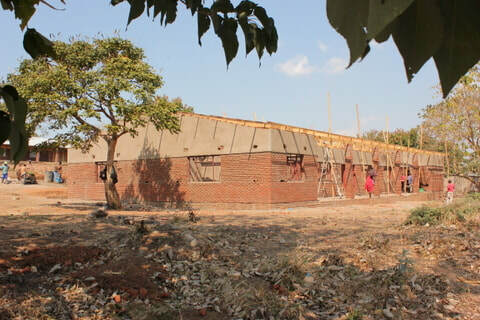 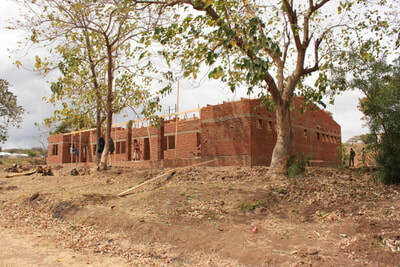 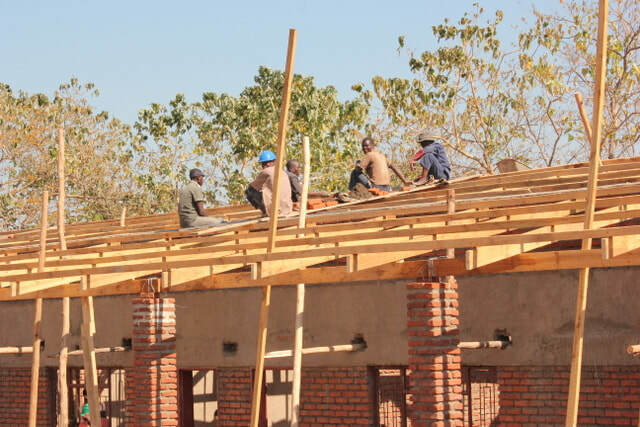 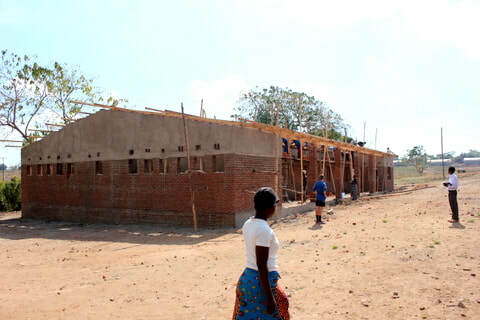 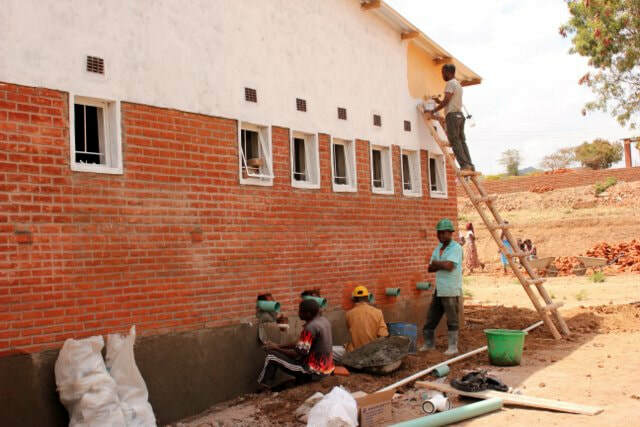 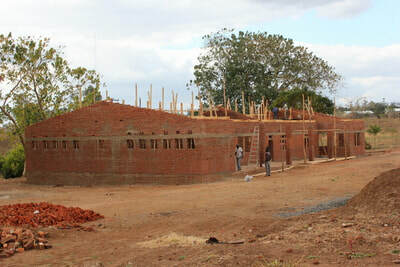 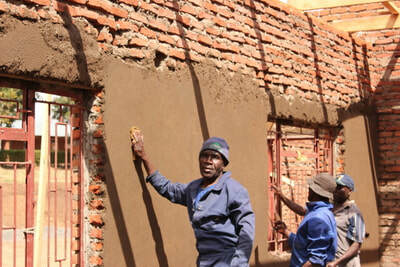 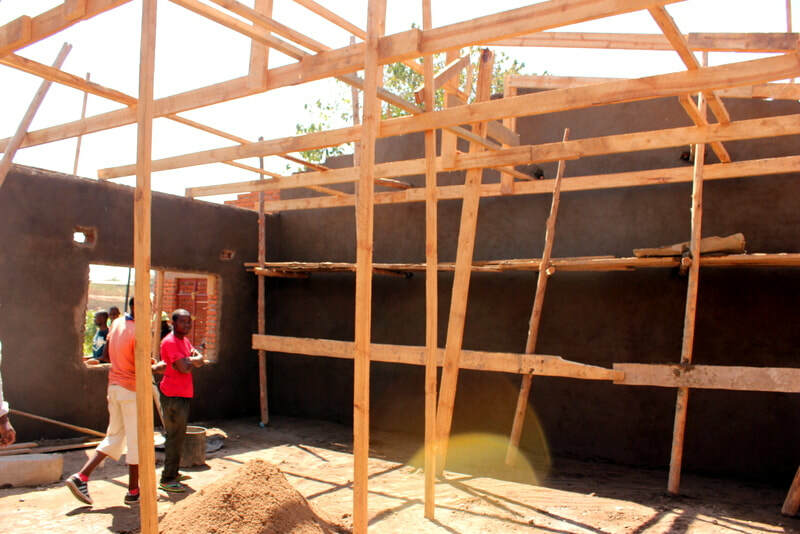 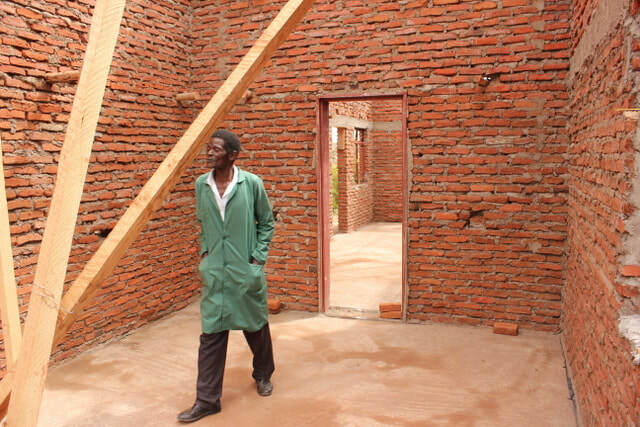 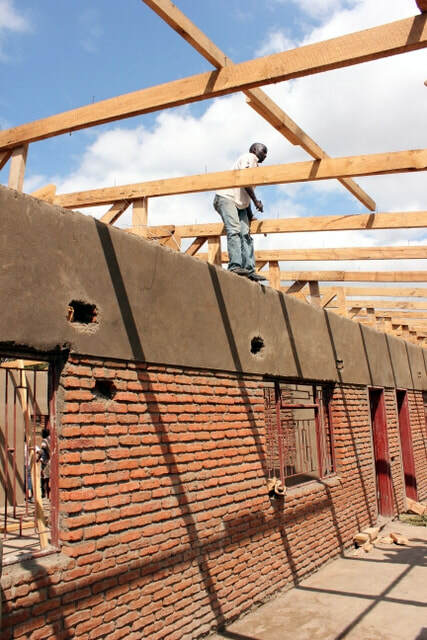 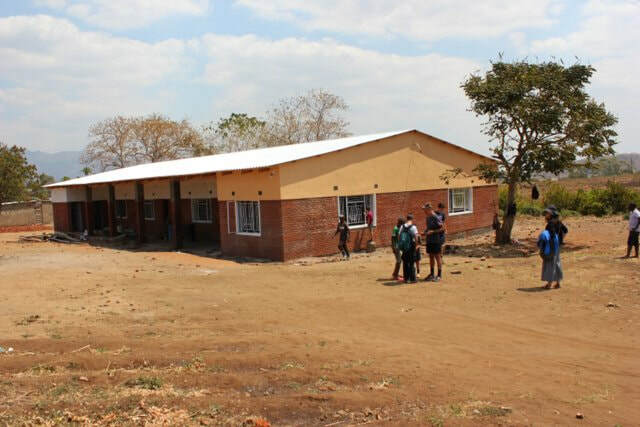 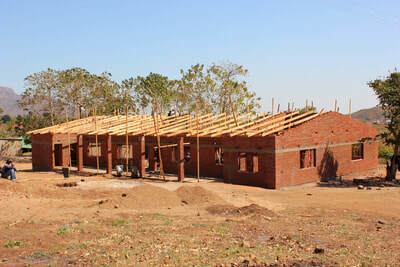 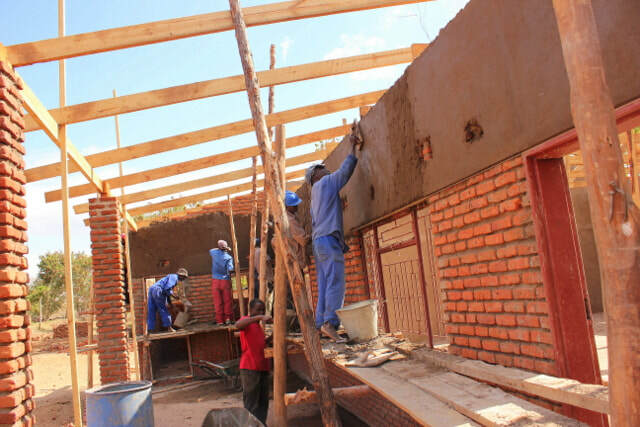 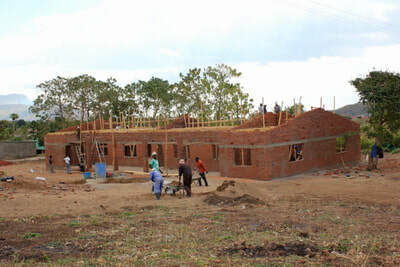 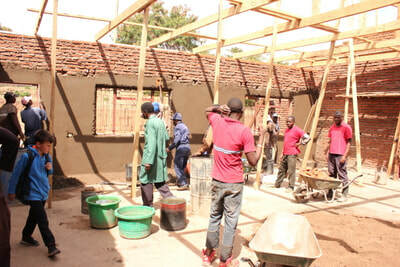 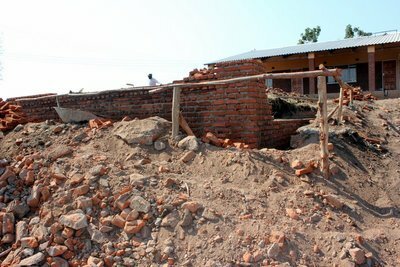 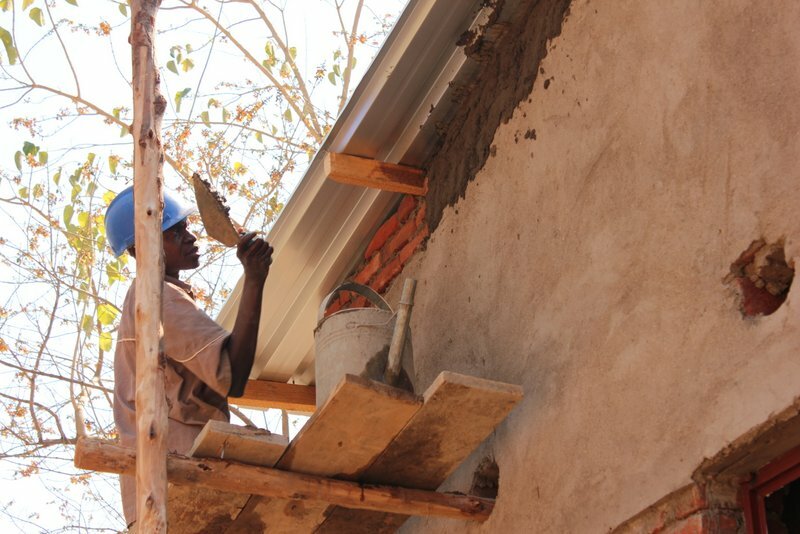 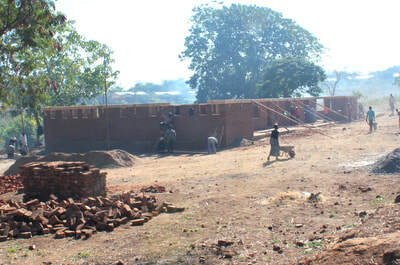 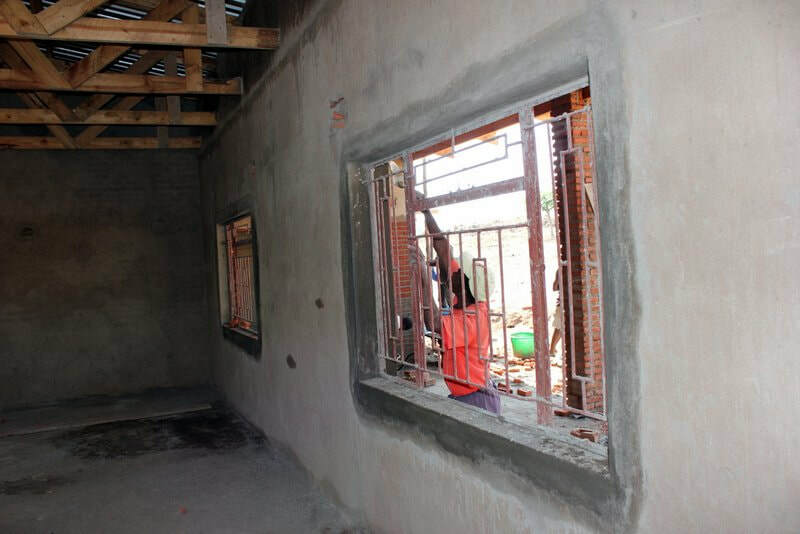 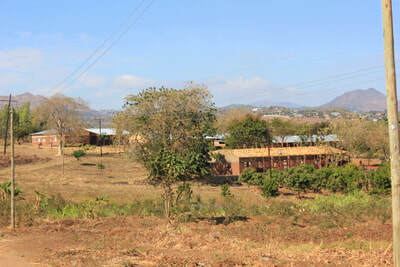 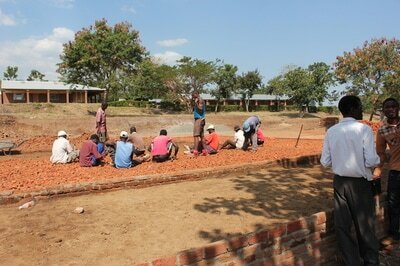 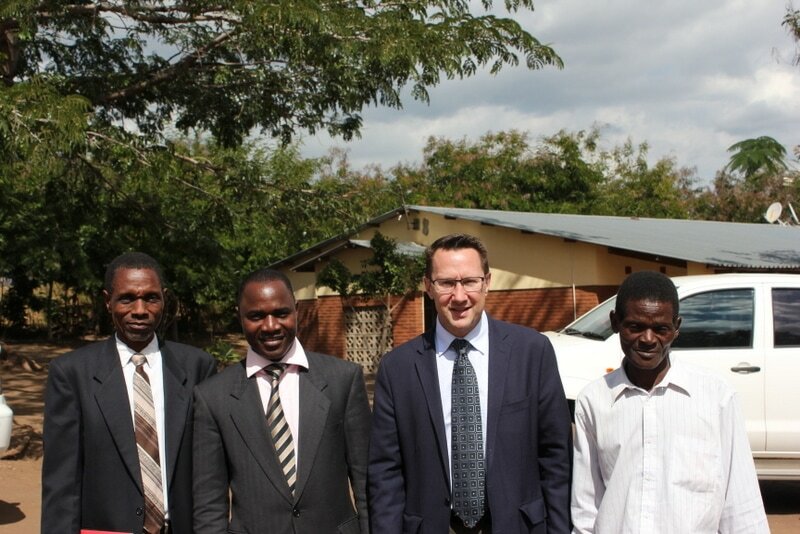 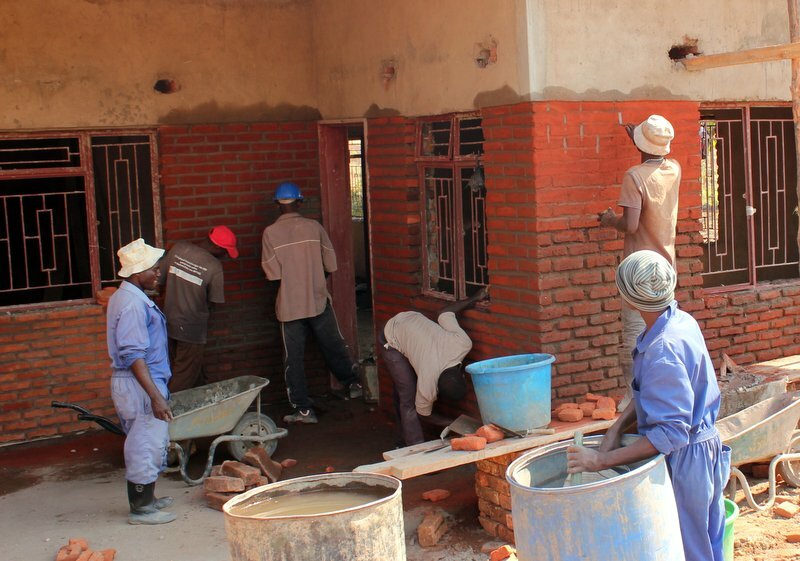 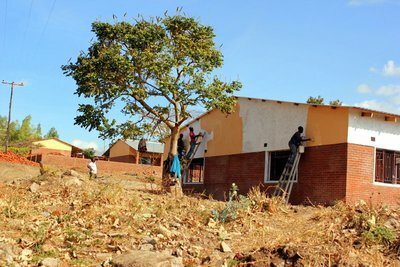 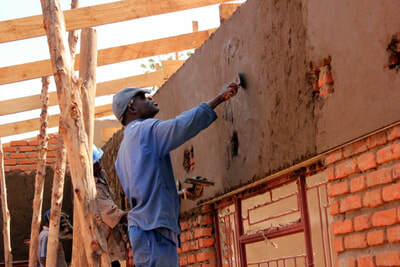 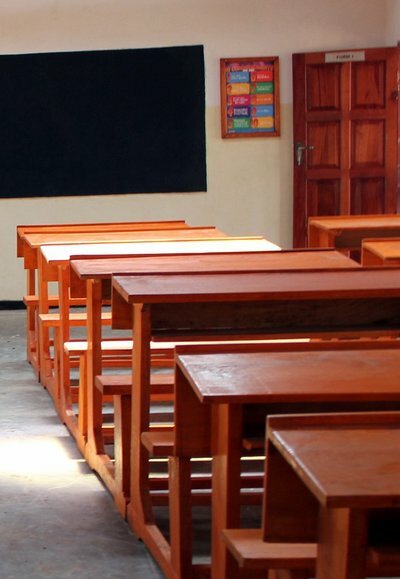 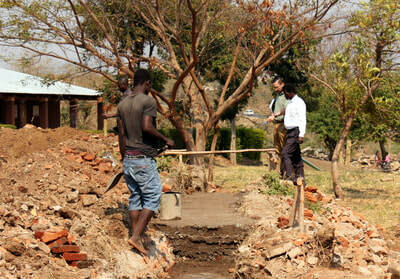 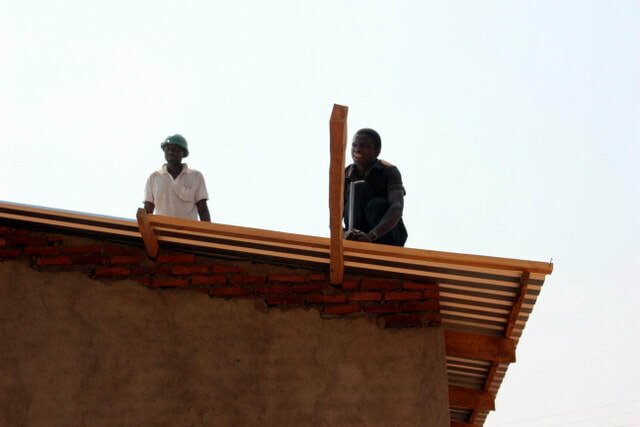 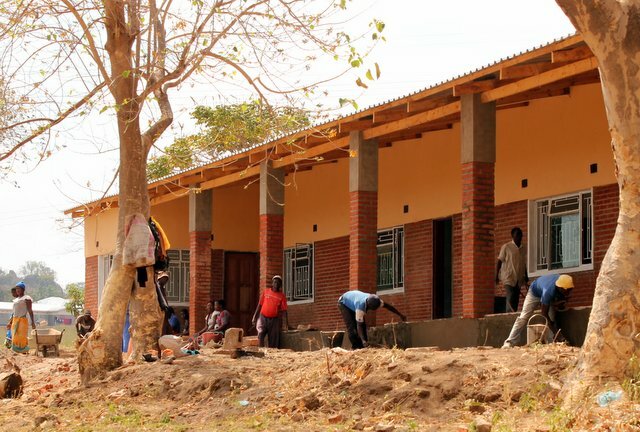 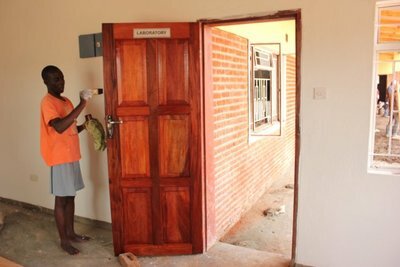 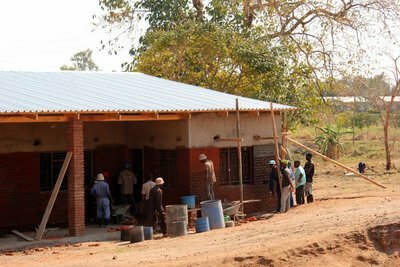 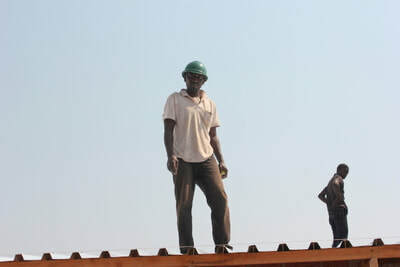 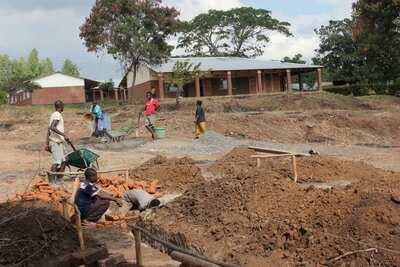 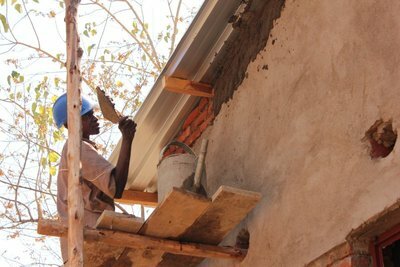 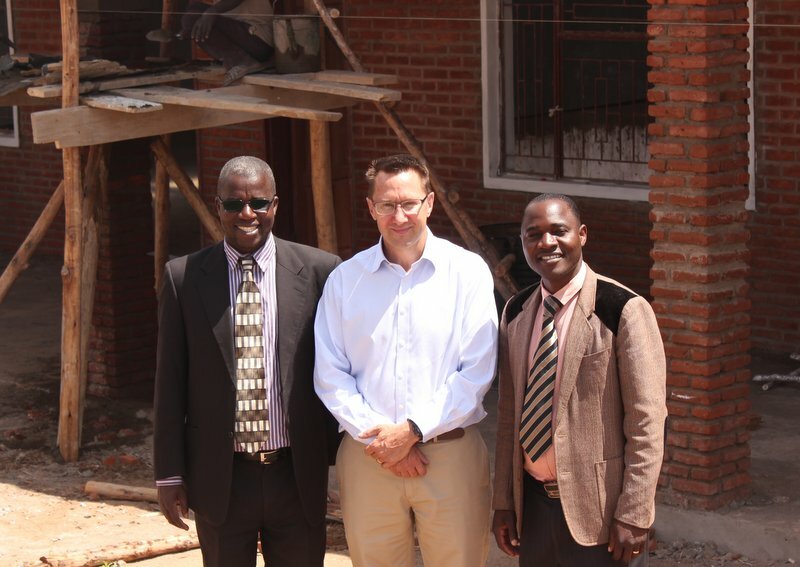 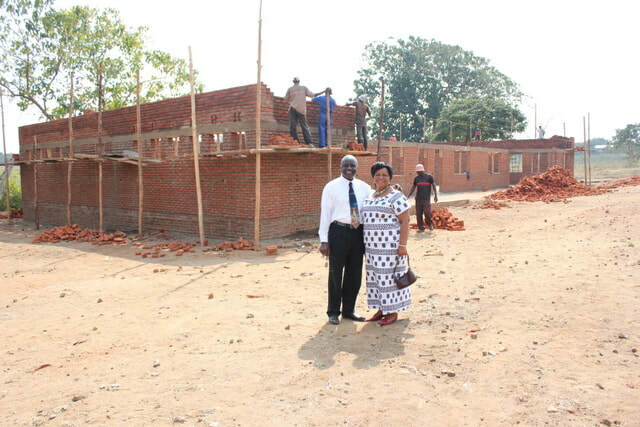 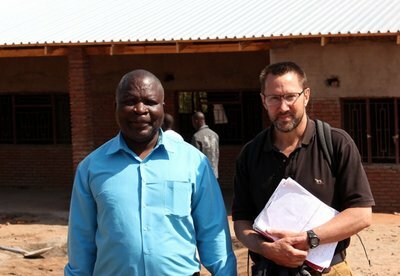 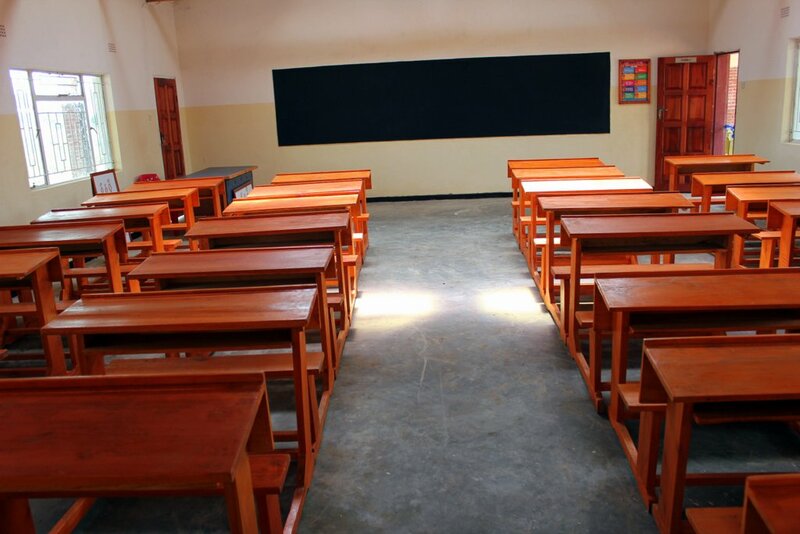 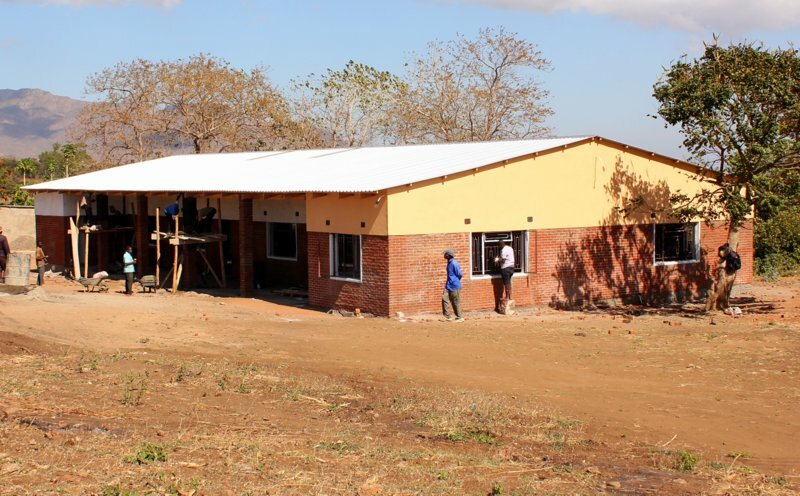 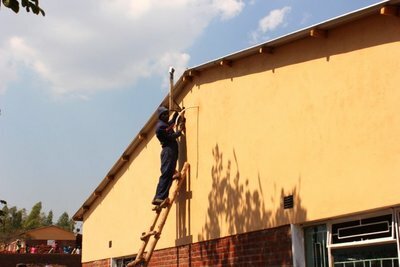 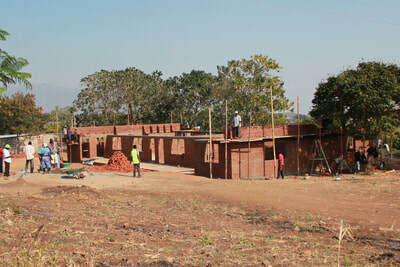 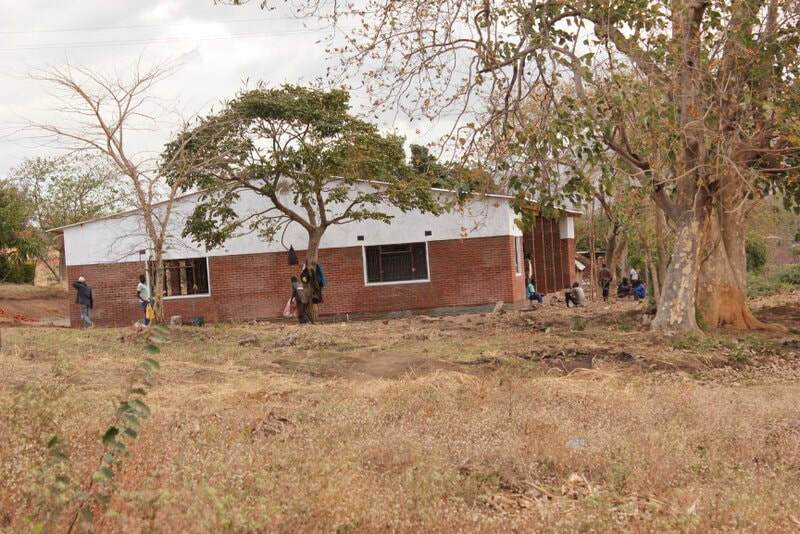 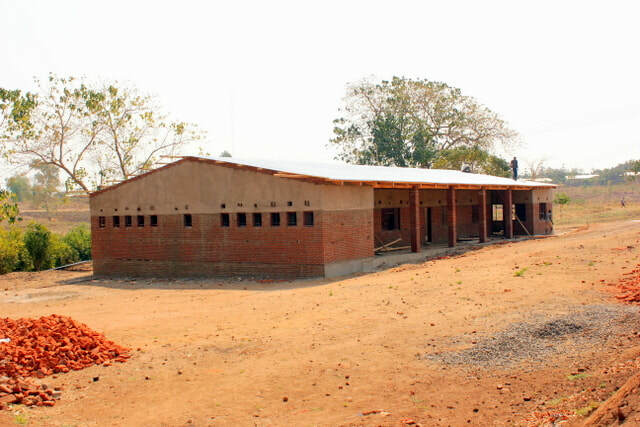 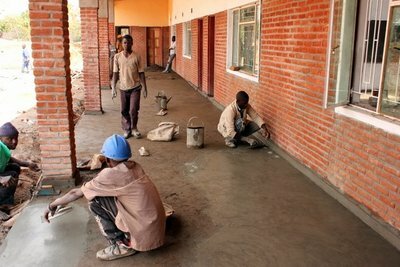 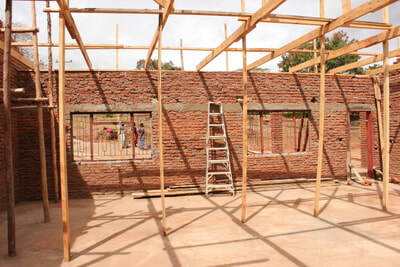 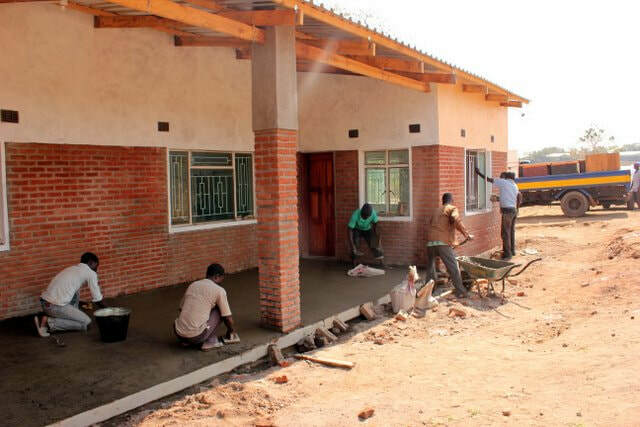 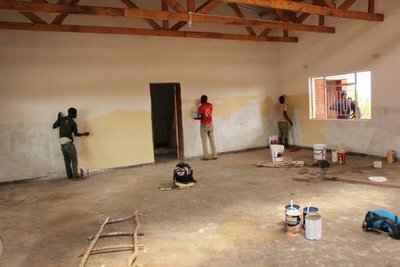 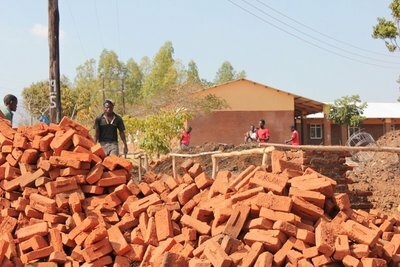 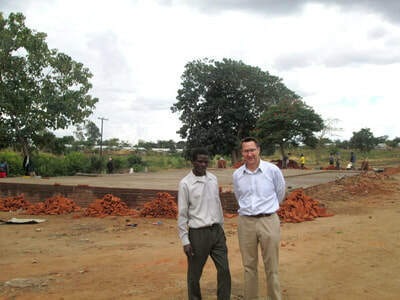 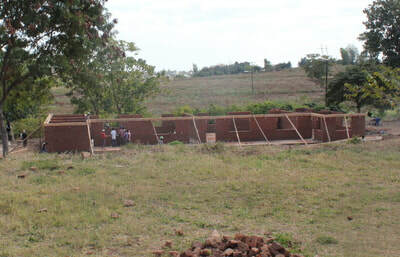 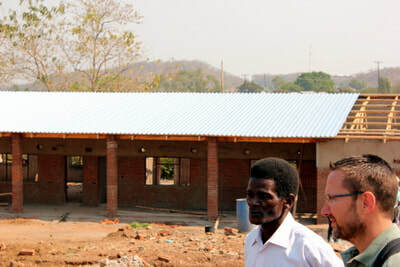 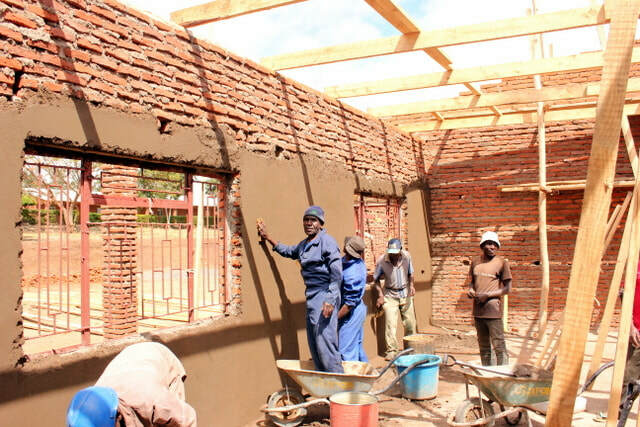 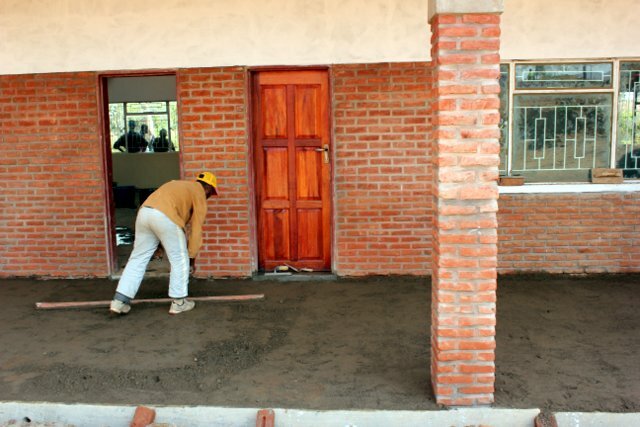 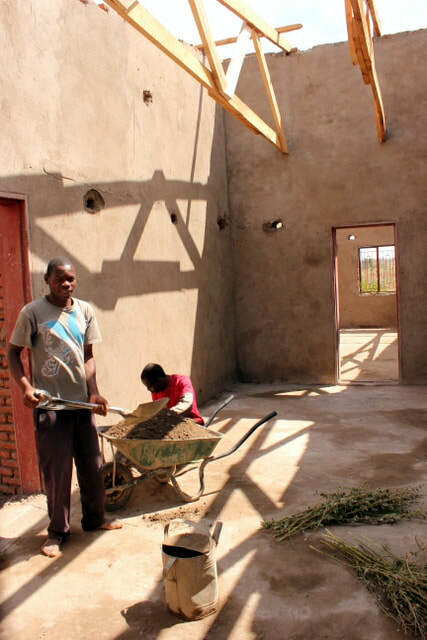 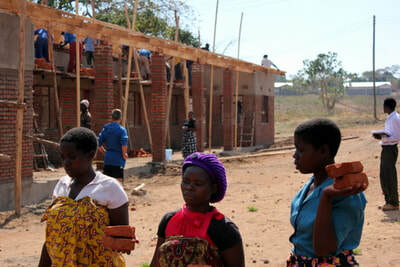 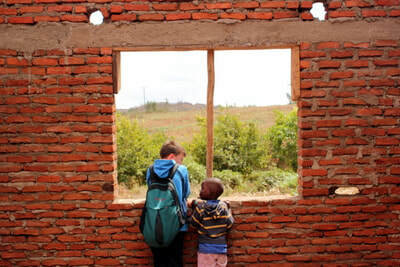 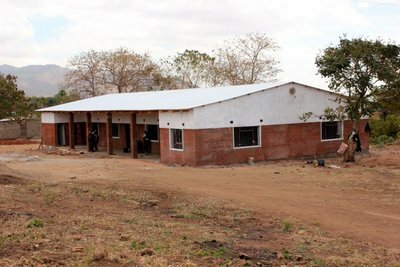 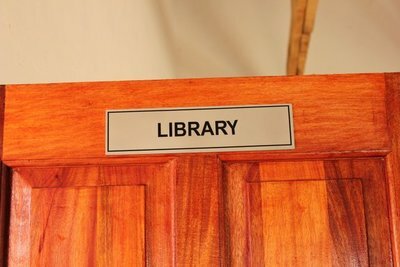 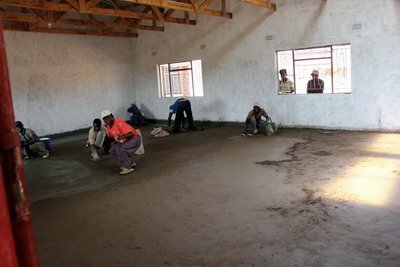 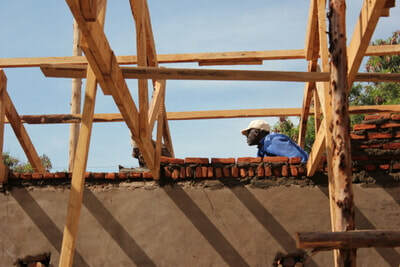 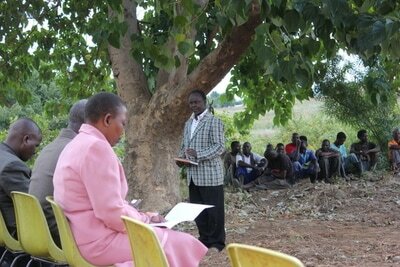 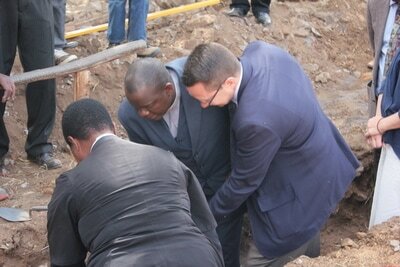 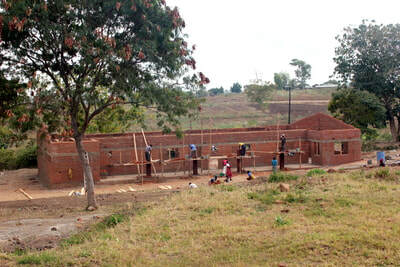 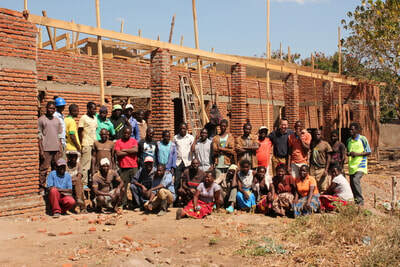 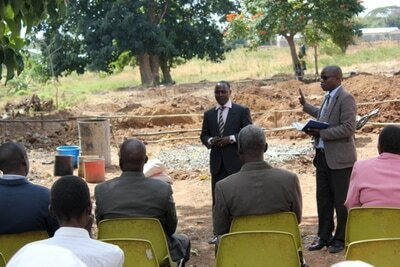 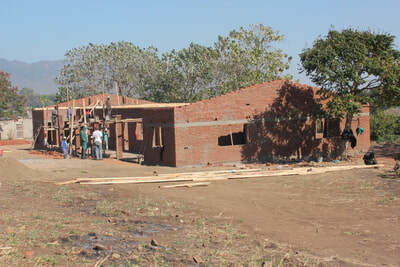 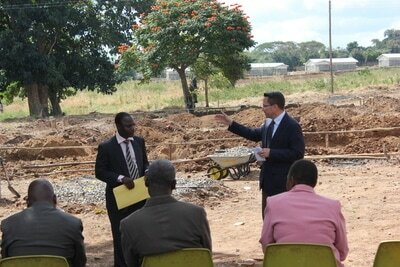 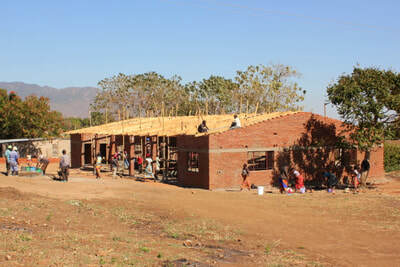 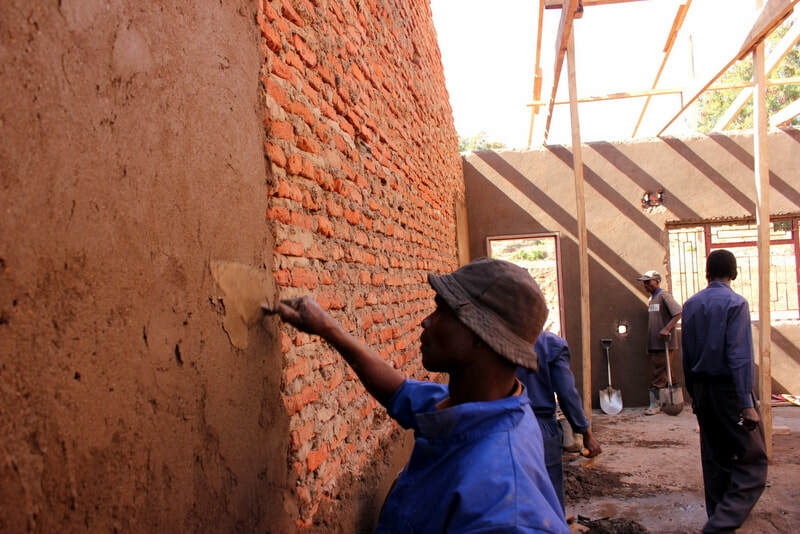 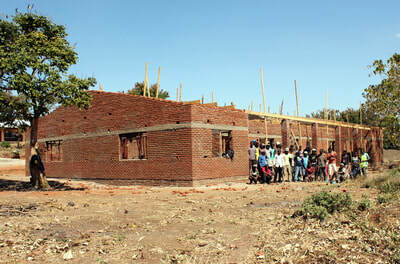 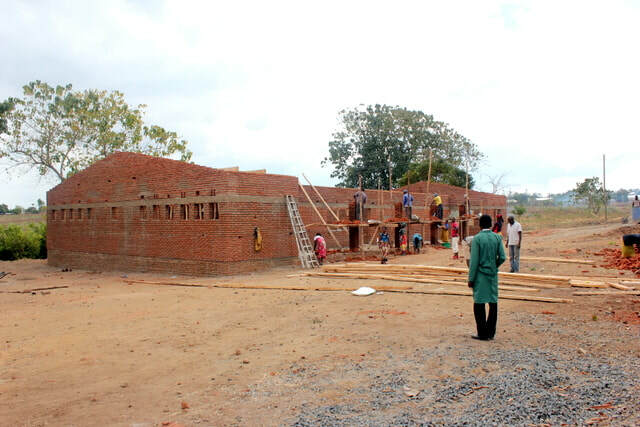 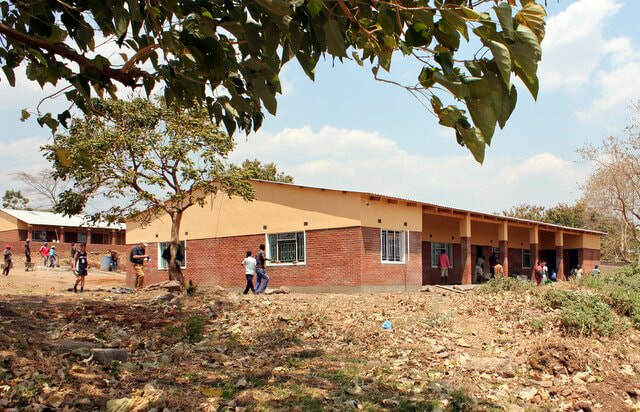 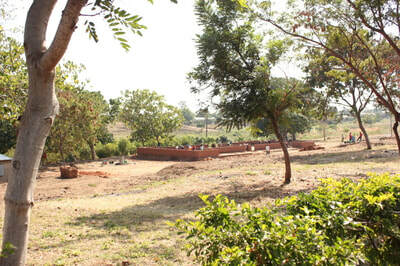 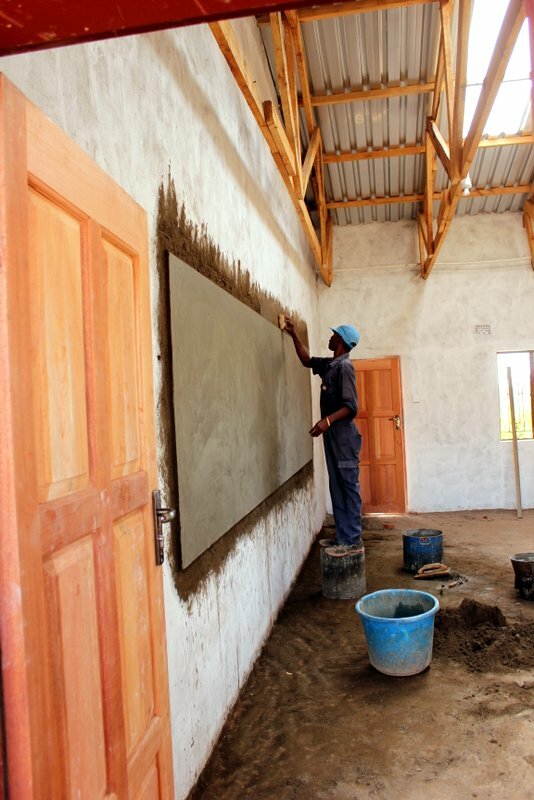 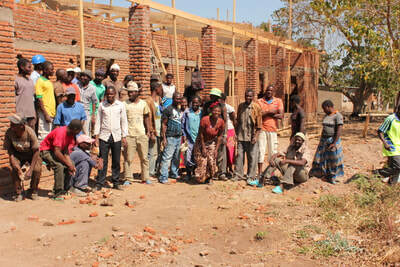 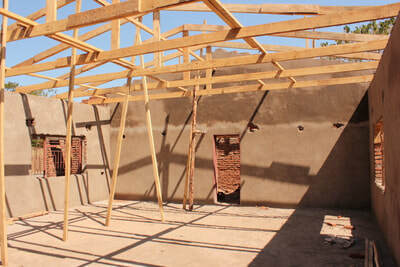 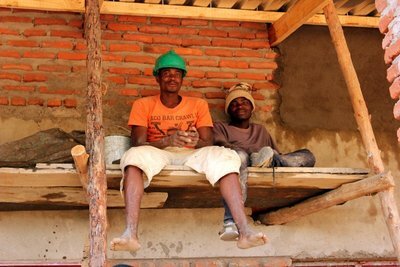 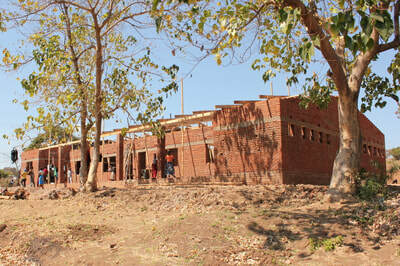 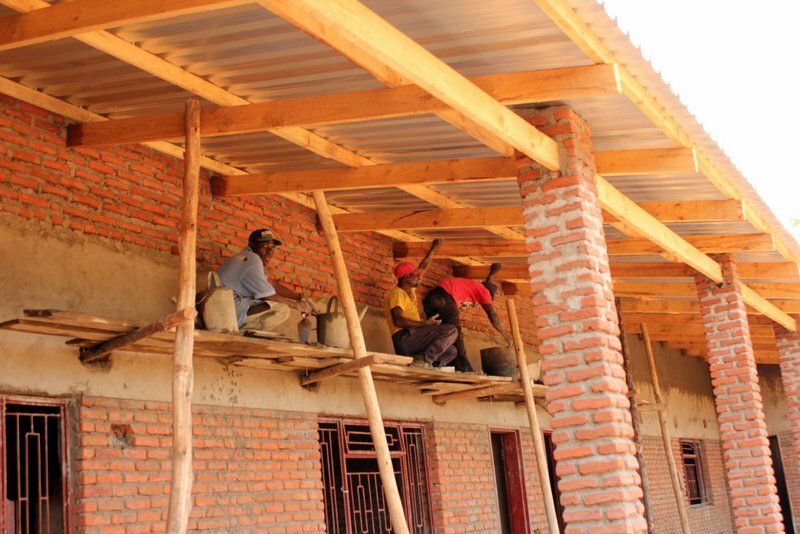 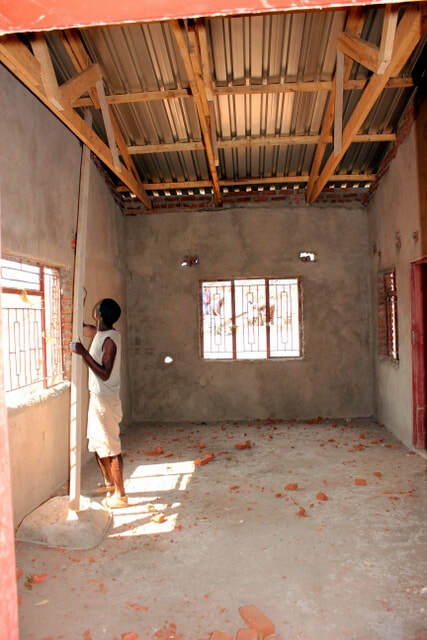 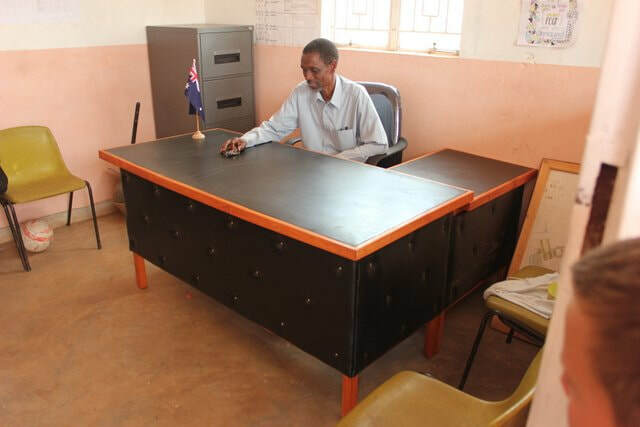 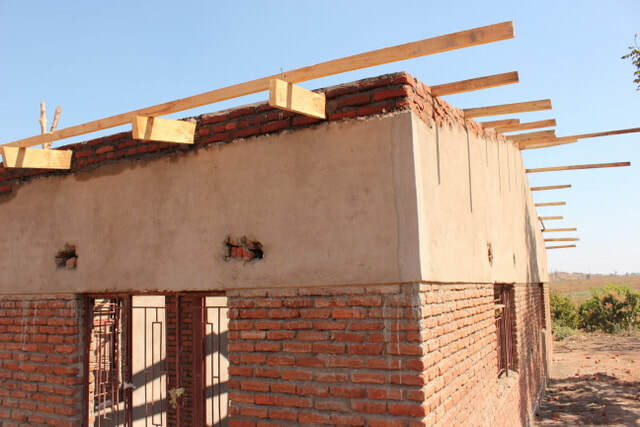 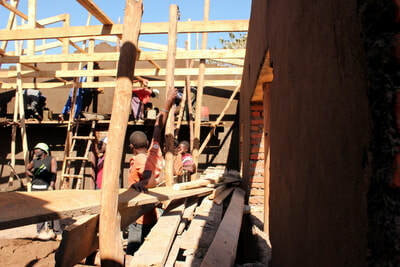 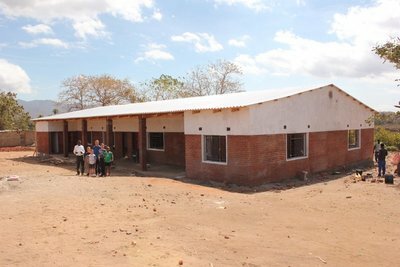 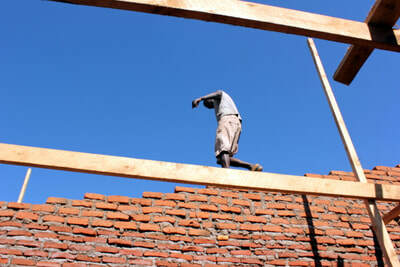 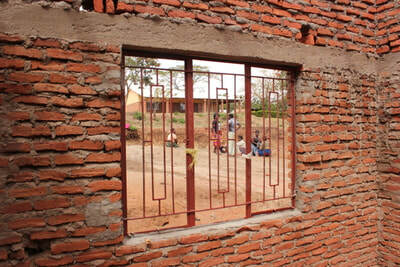 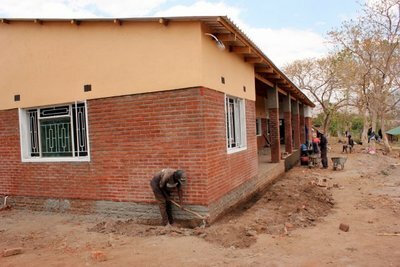 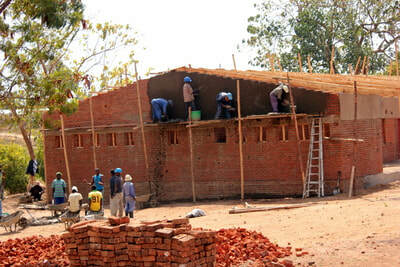 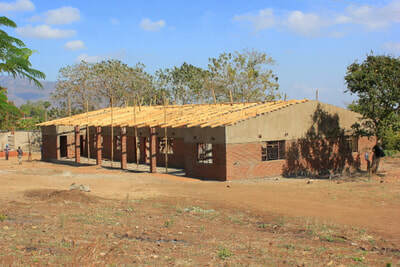 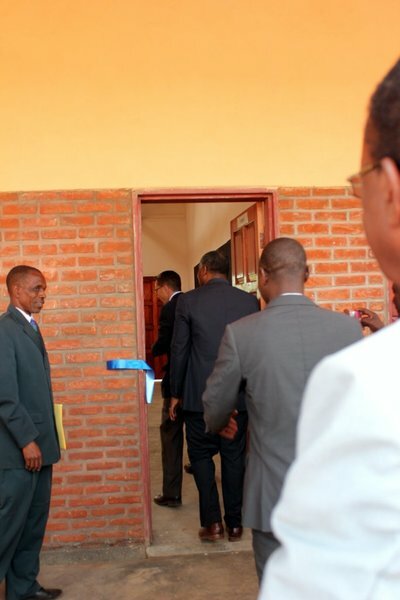 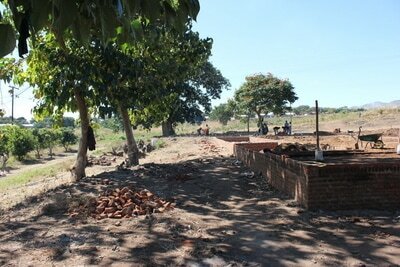 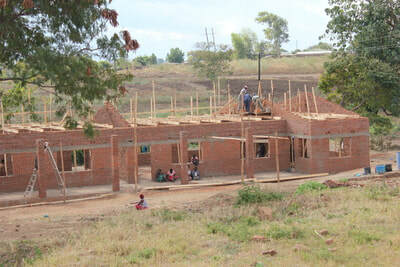 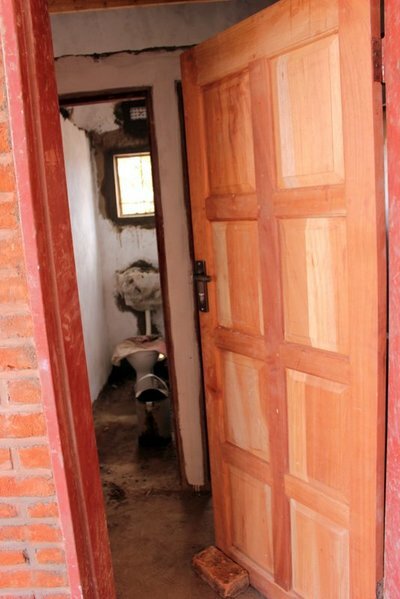 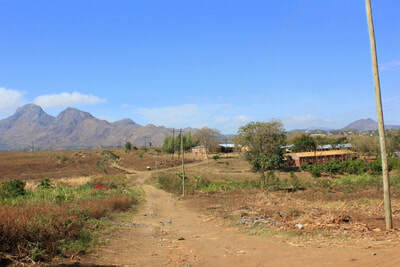 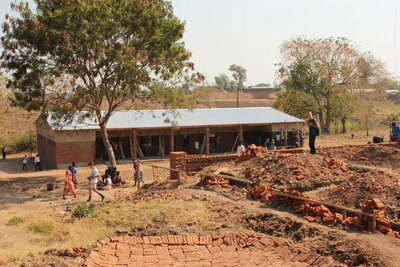 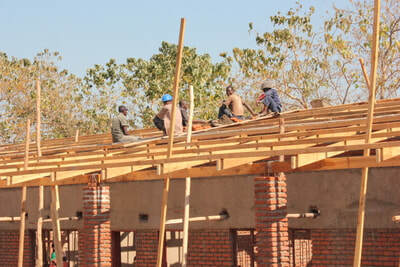 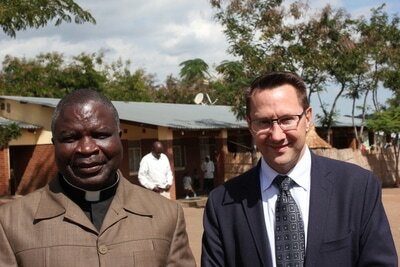 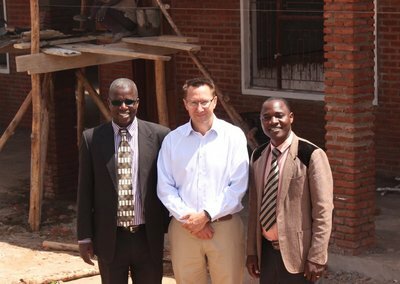 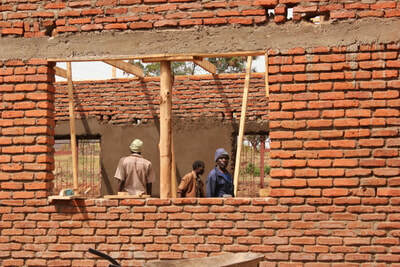 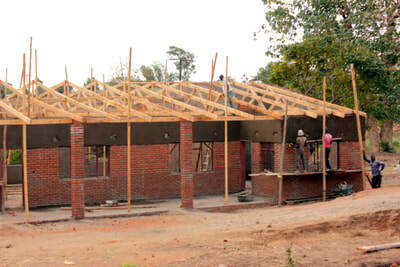 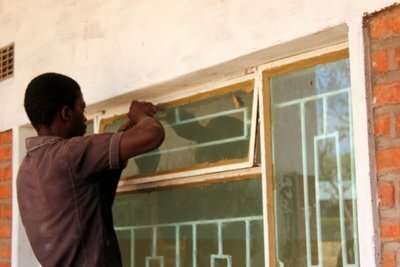 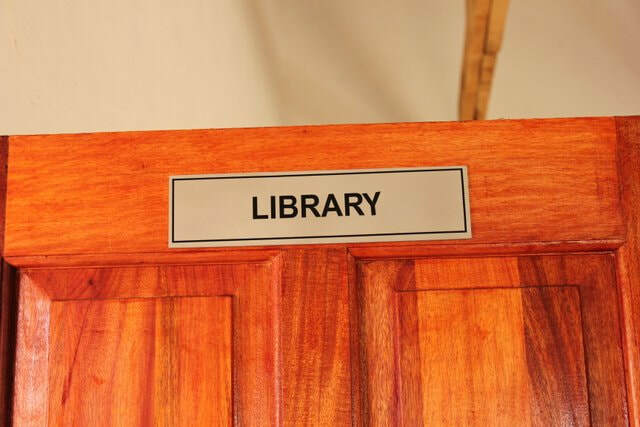 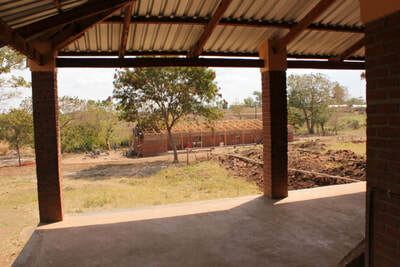 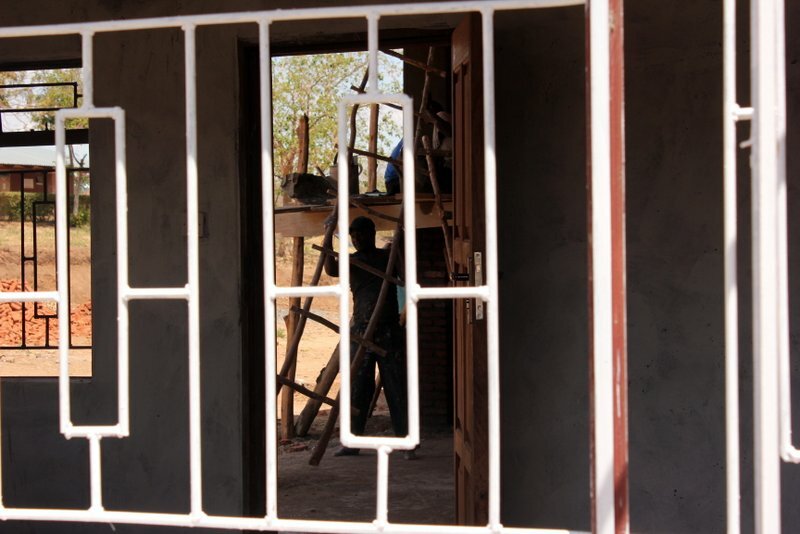 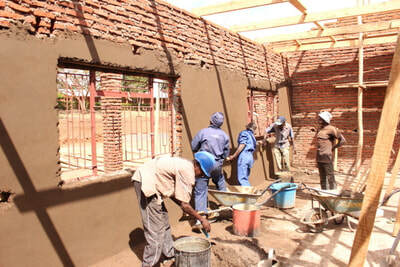 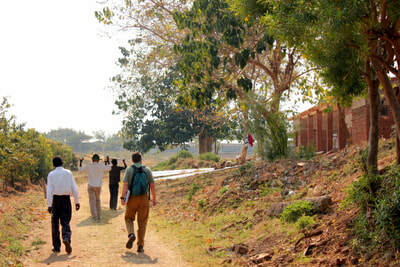 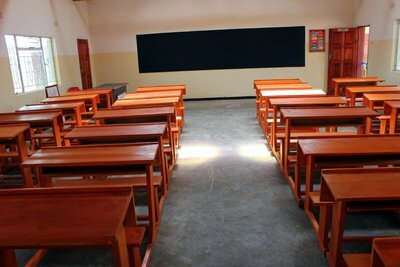 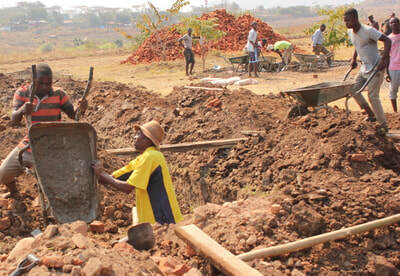 The first secondary school building completed in 3 months and 13 days for a cost of approx. 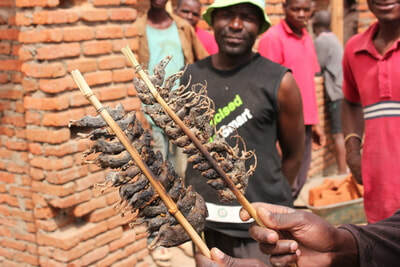 US$33,000. 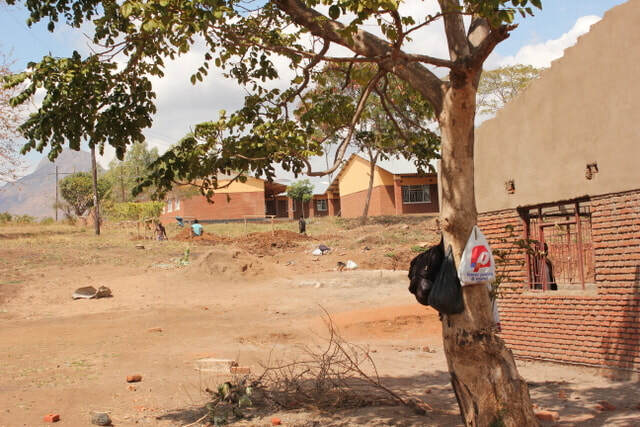 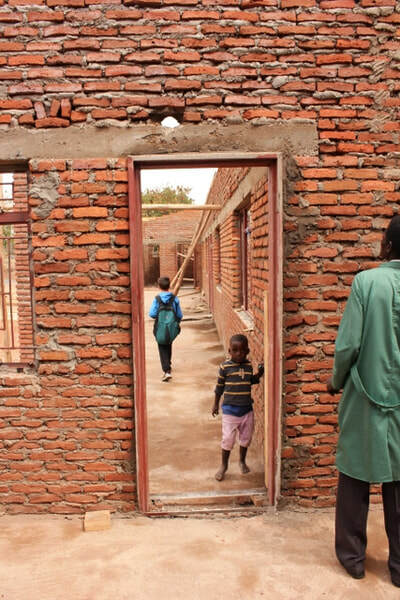 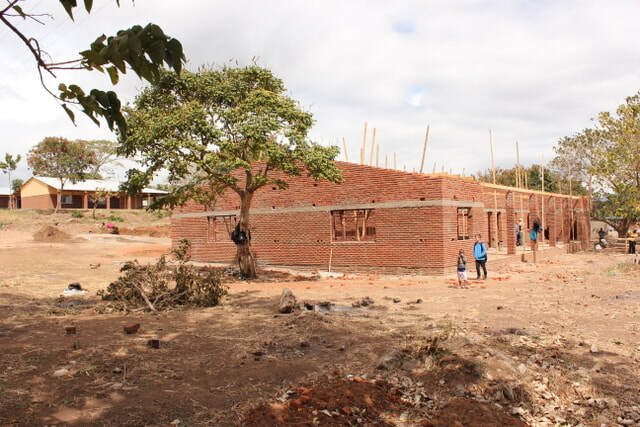 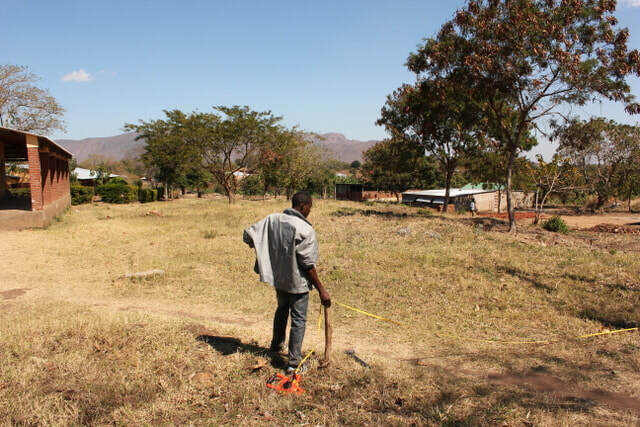 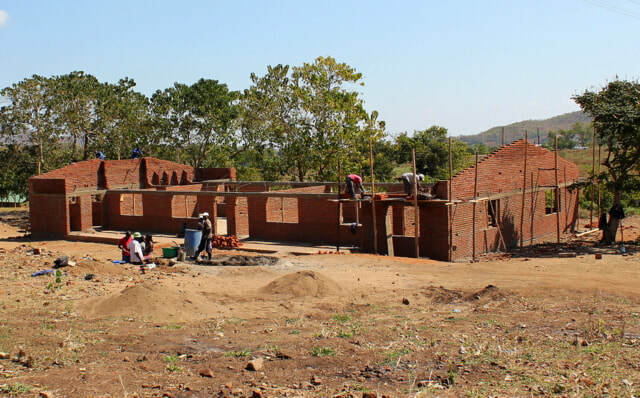 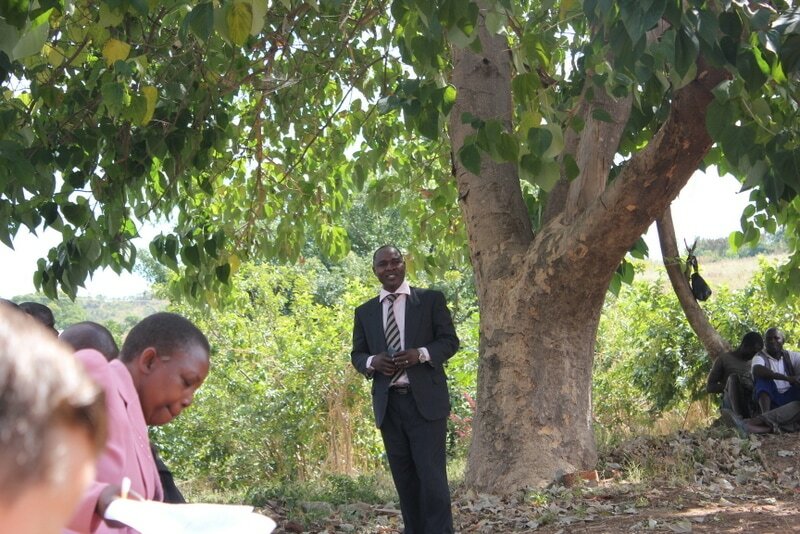 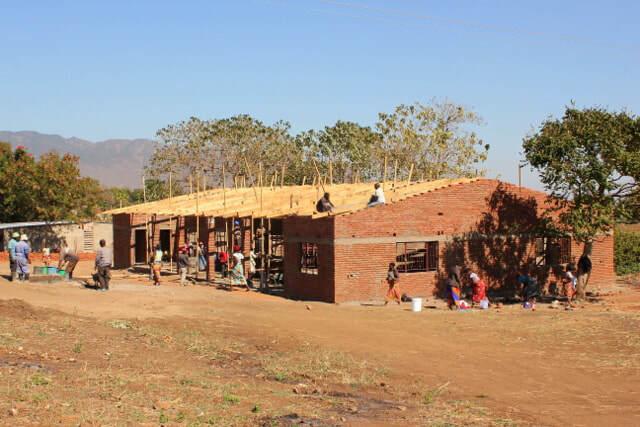 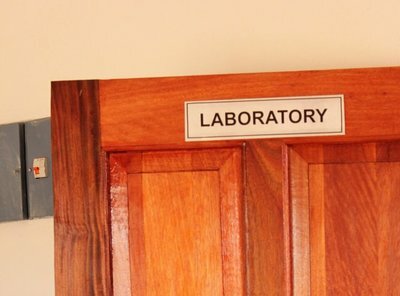 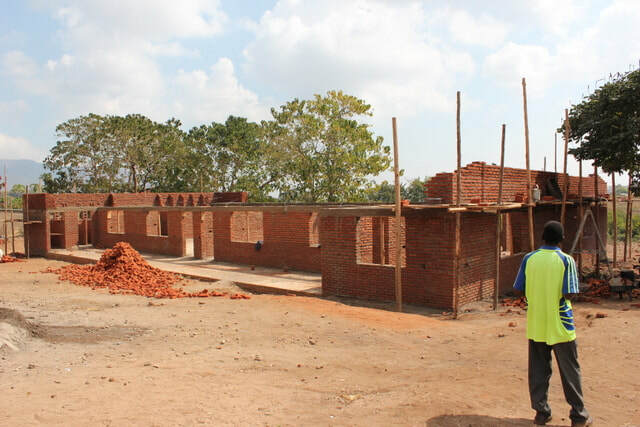 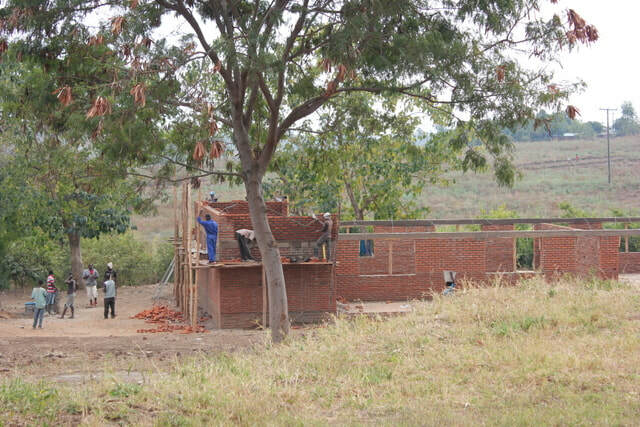 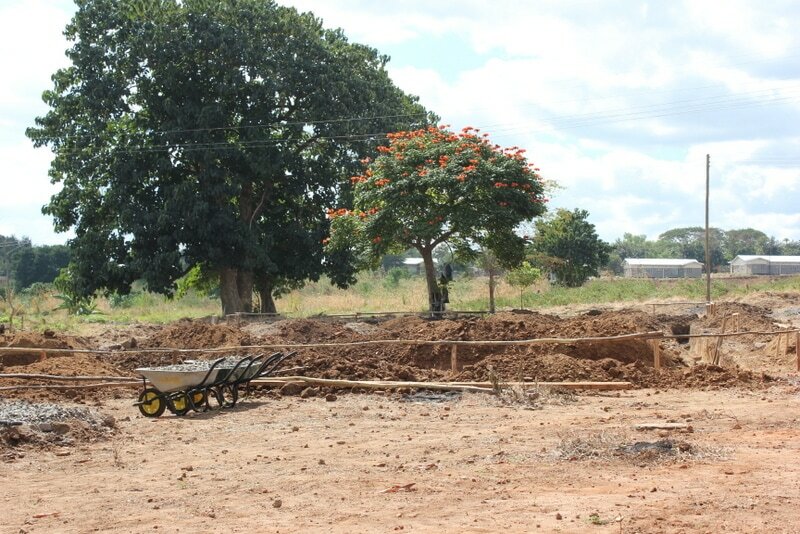 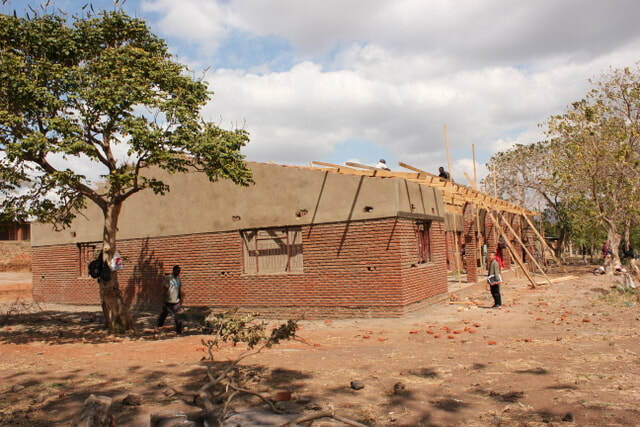 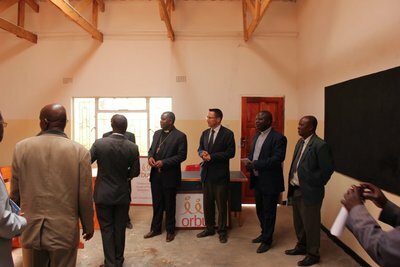 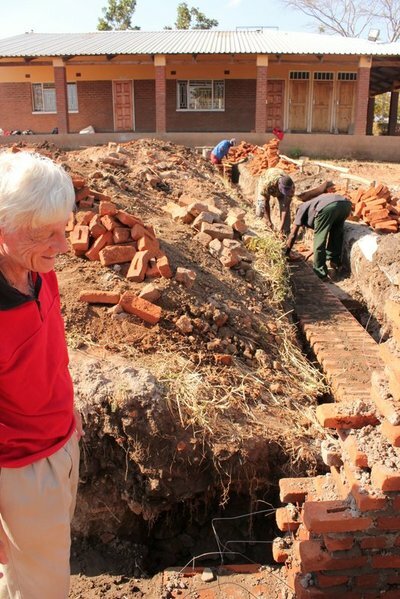 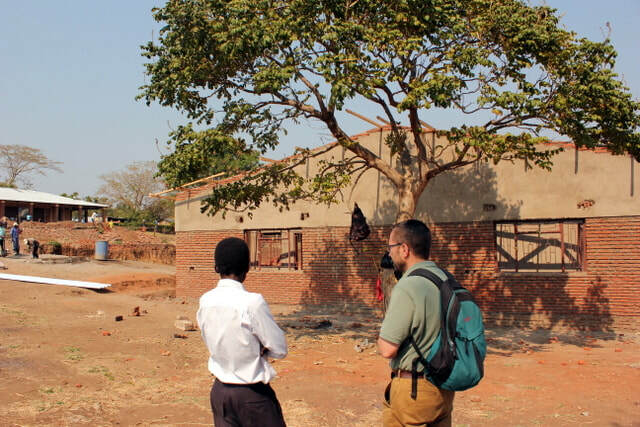 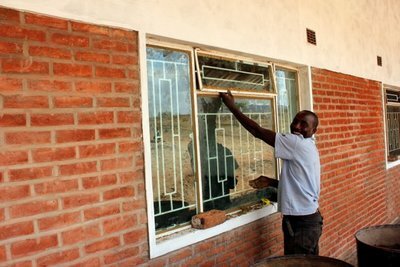 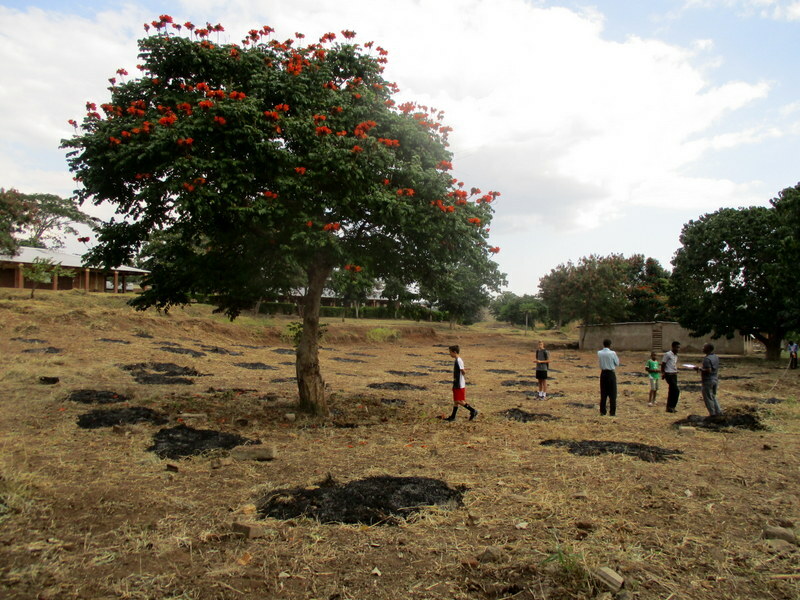 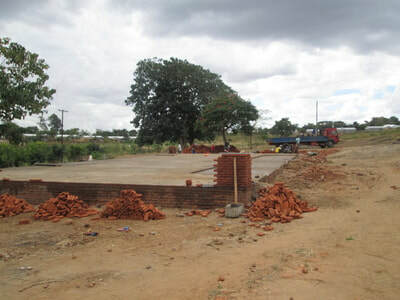 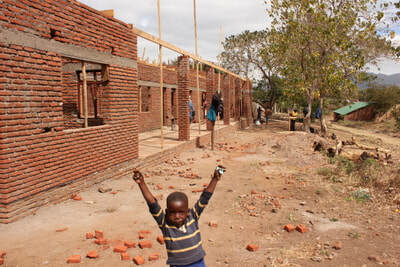 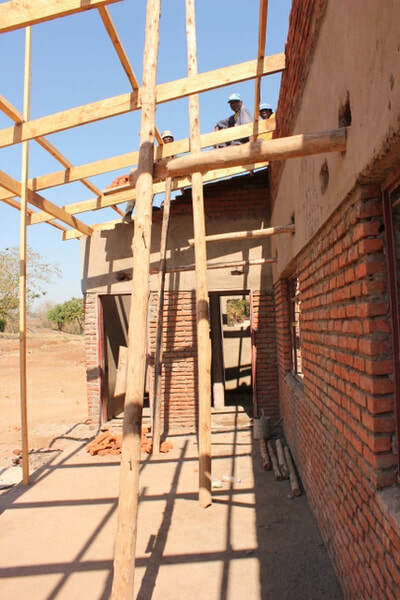 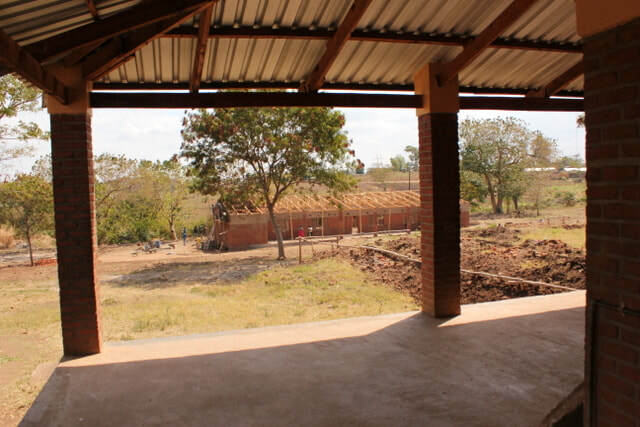 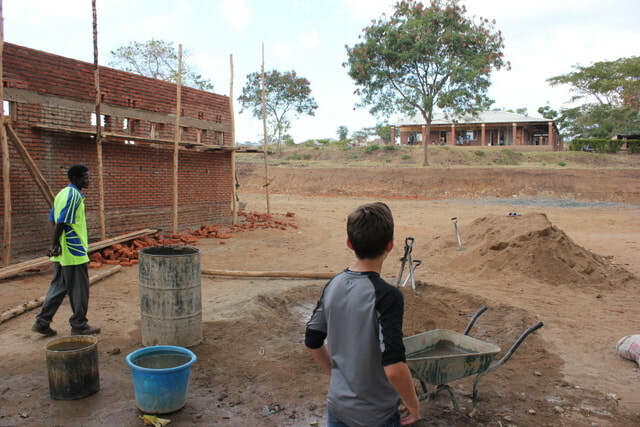 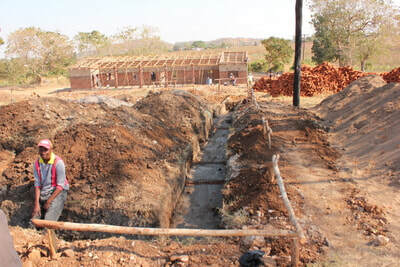 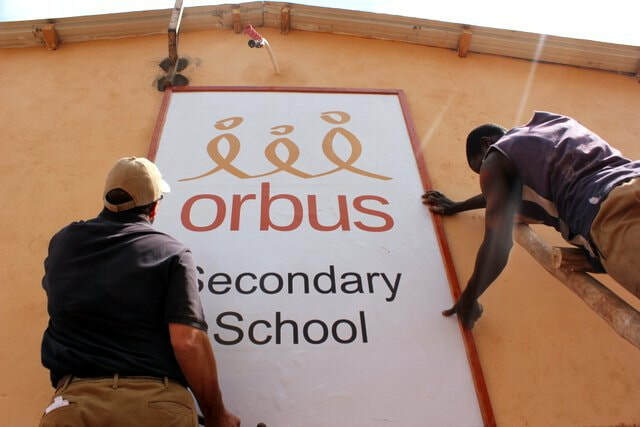 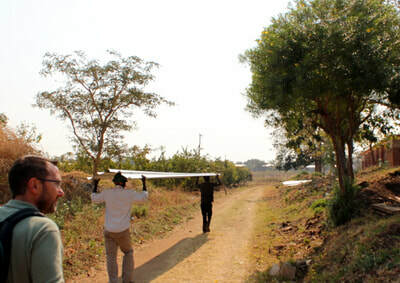 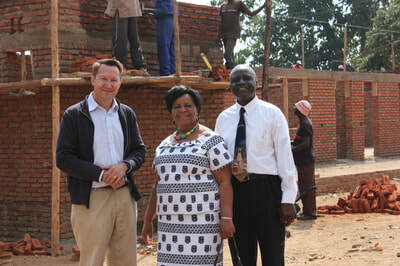 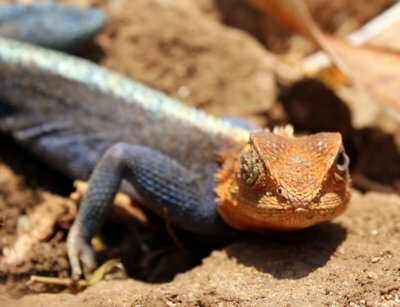 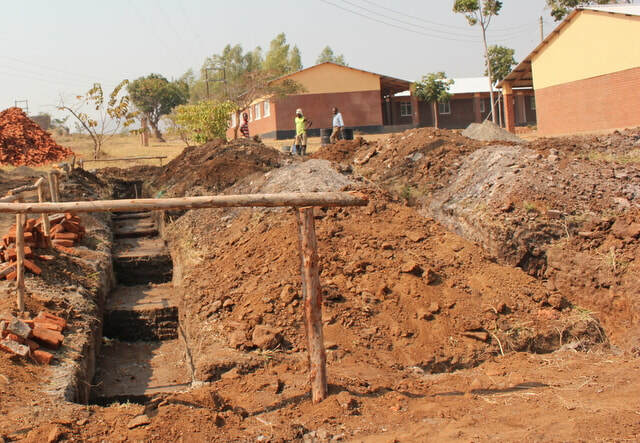 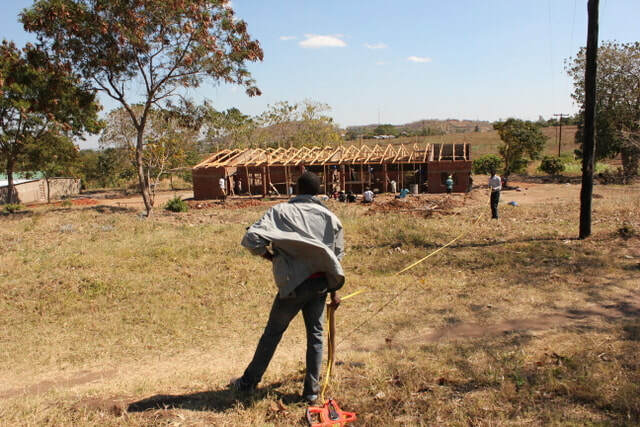 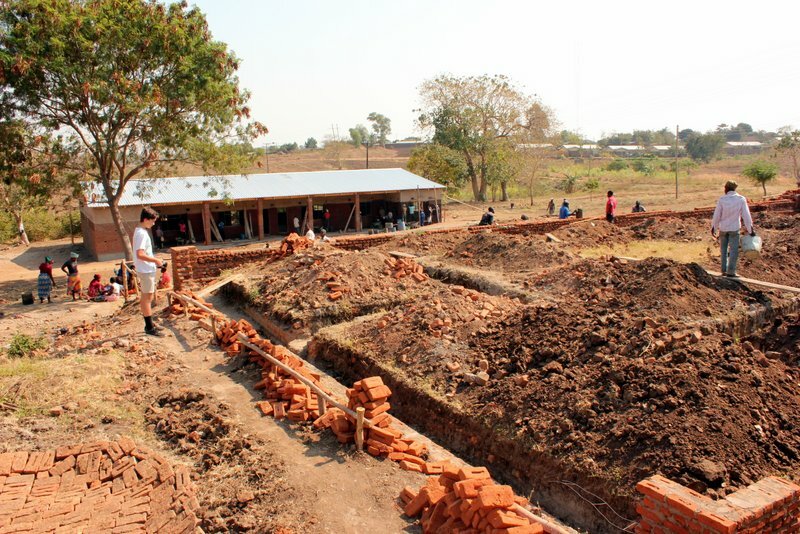 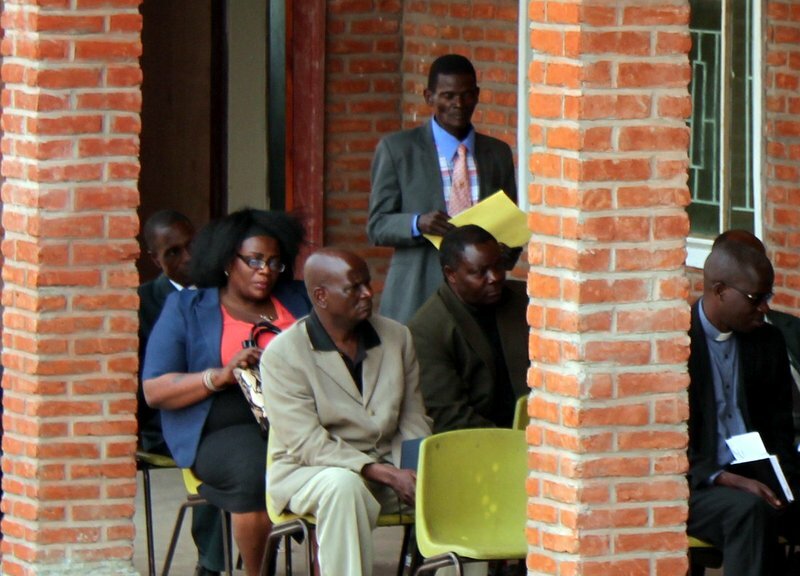 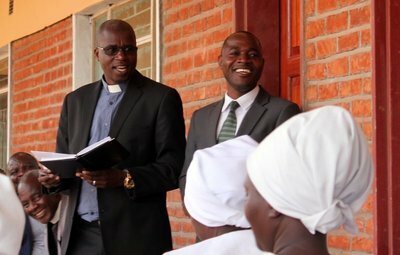 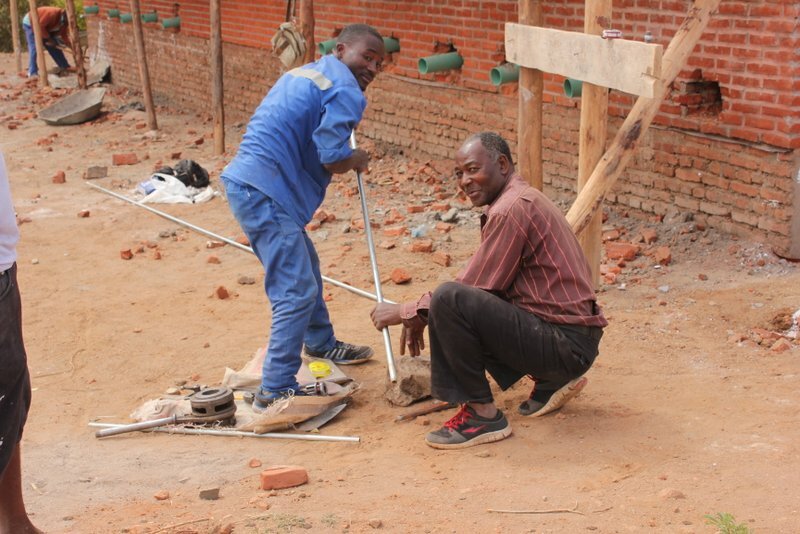 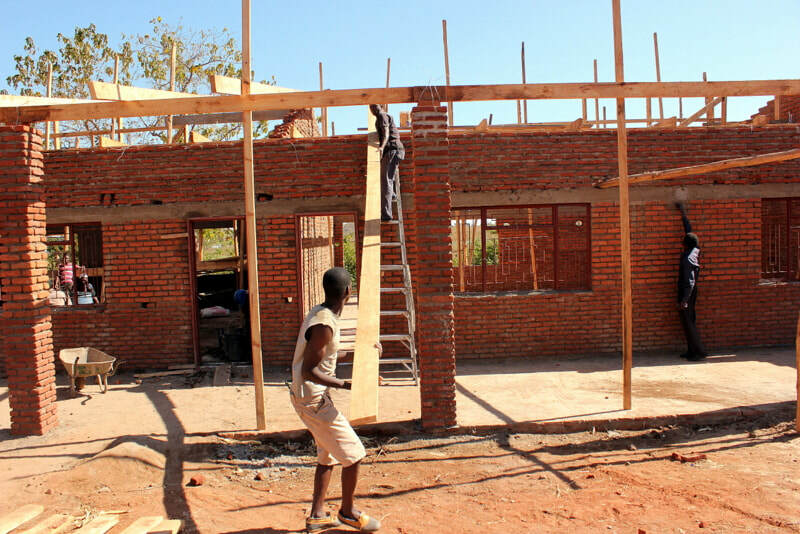 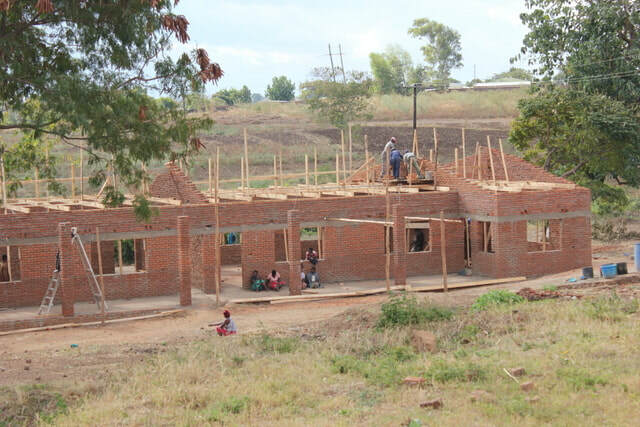 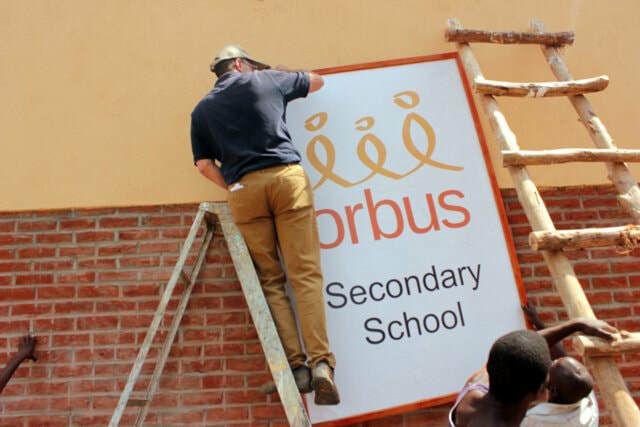 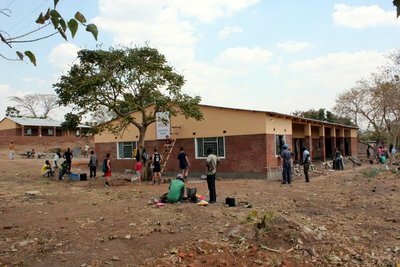 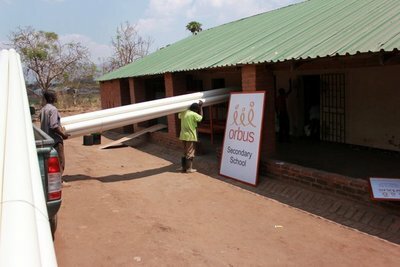 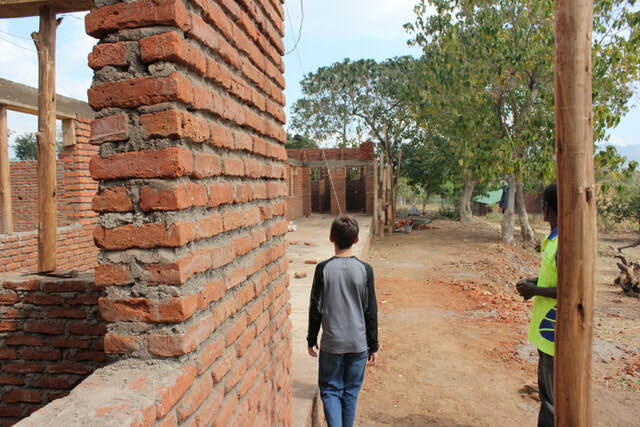 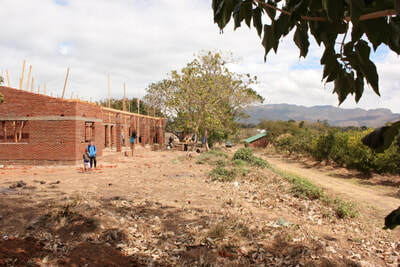 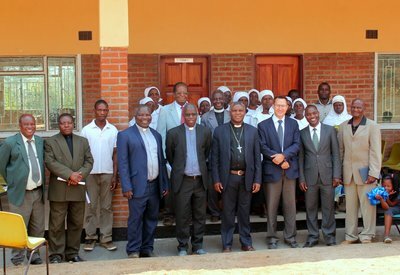 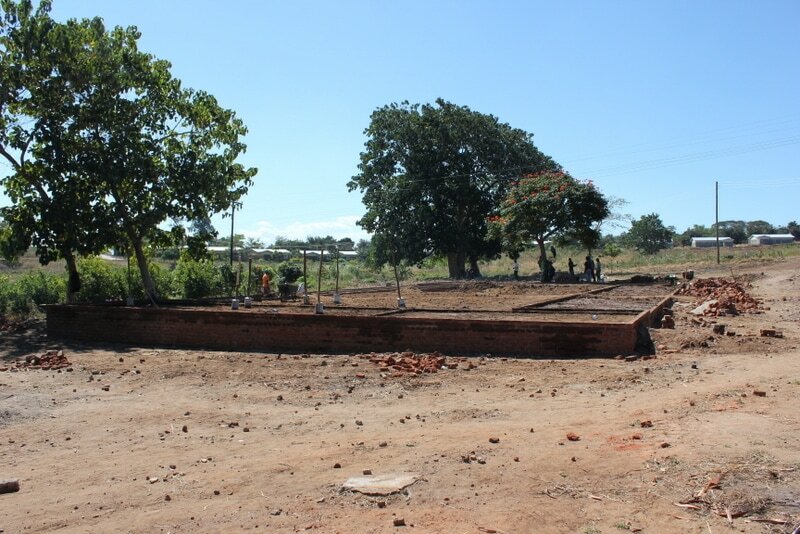 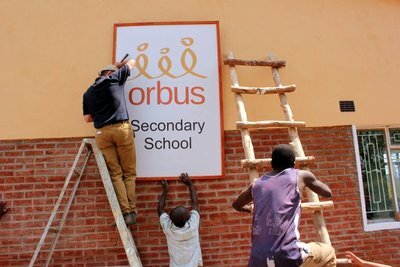 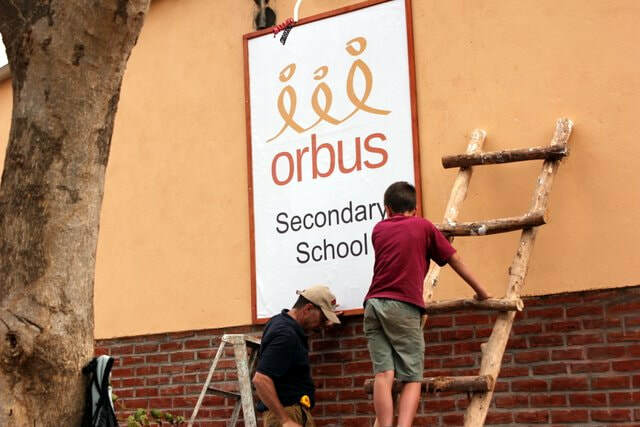 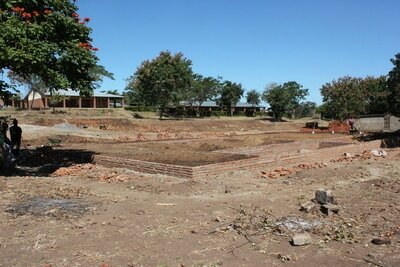 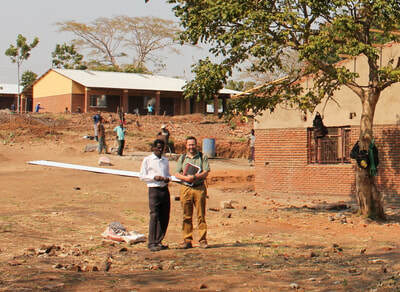 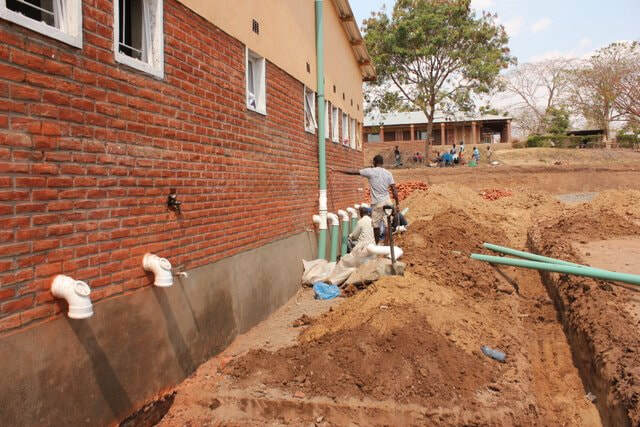 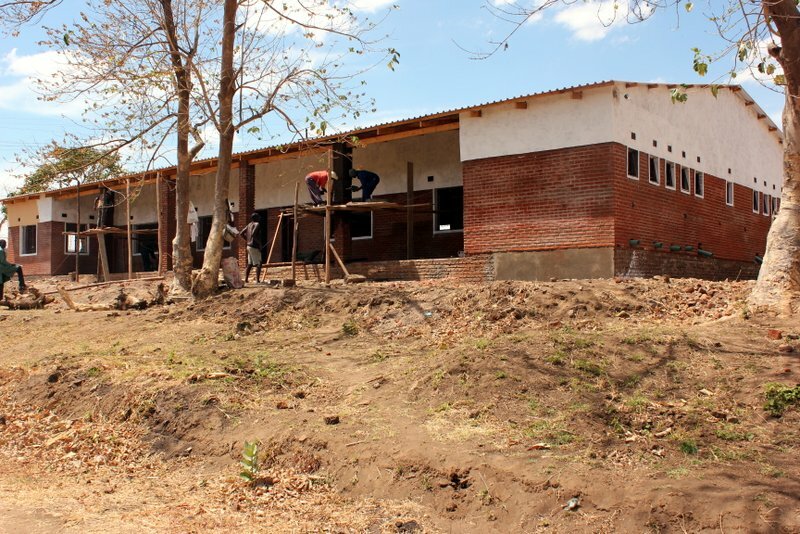 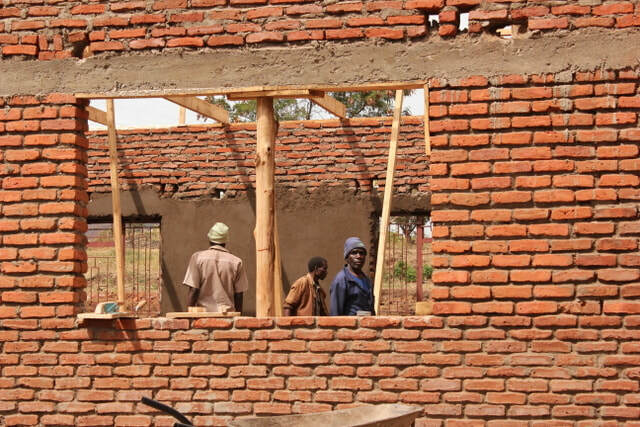 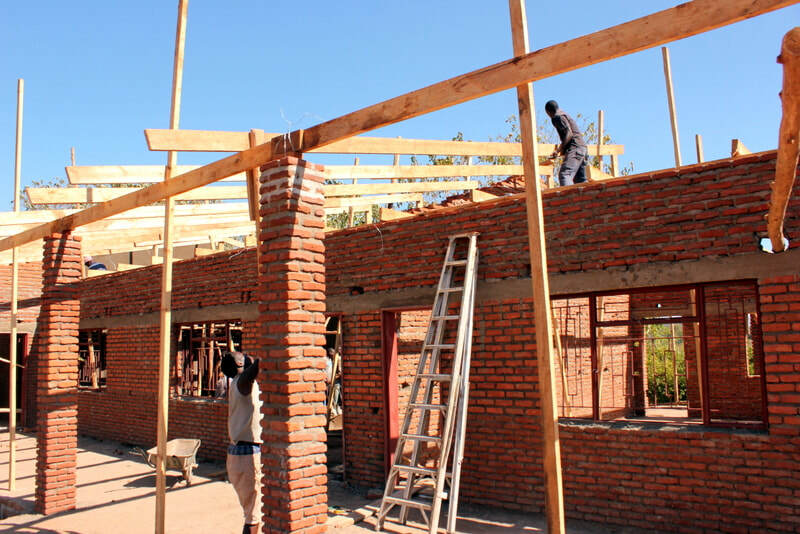 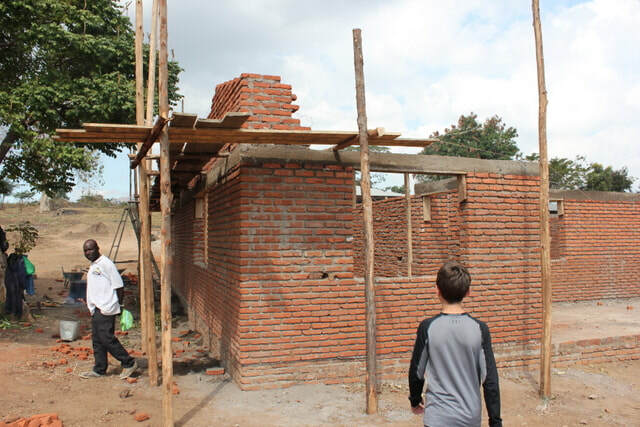 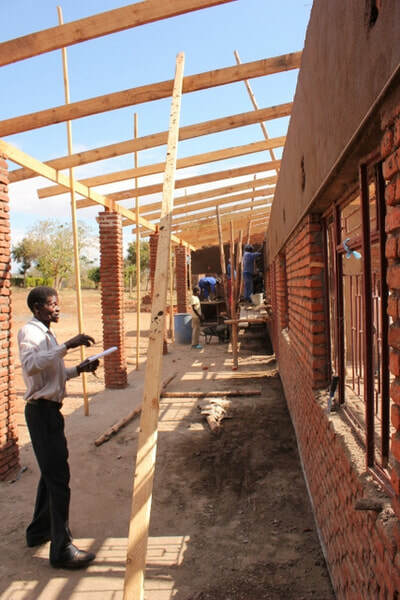 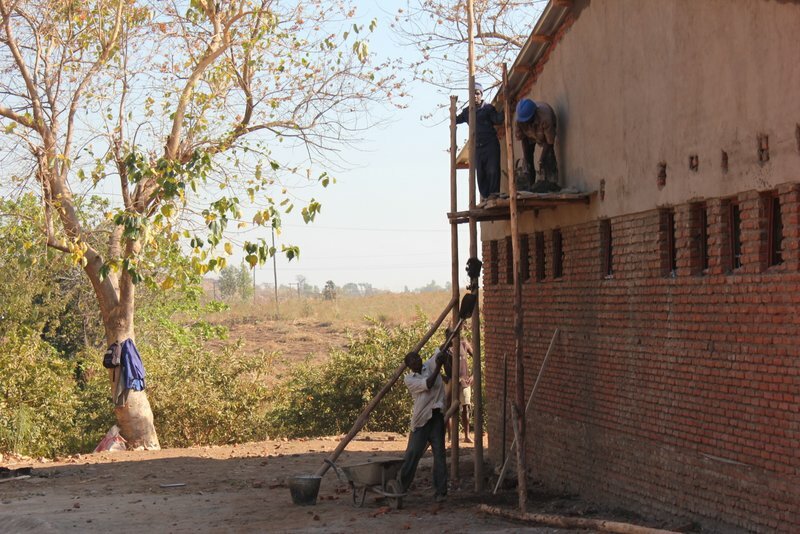 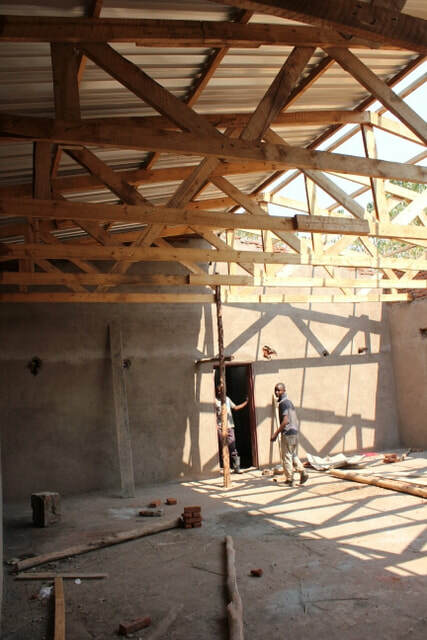 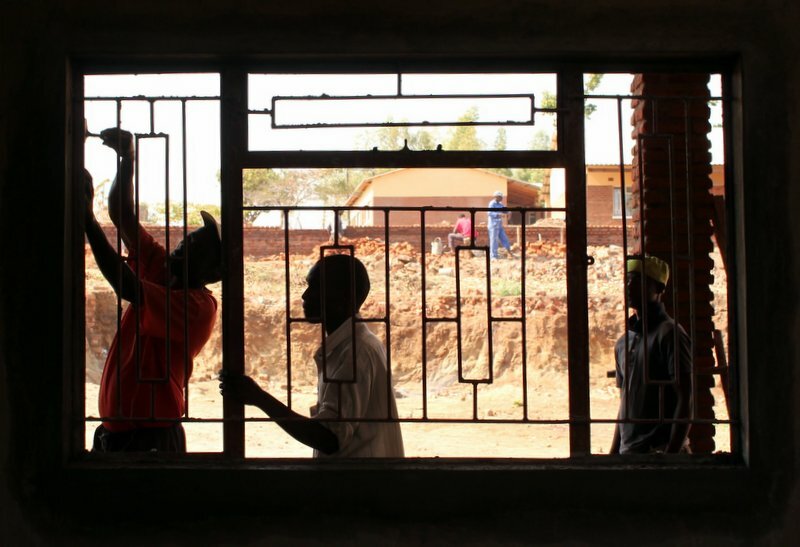 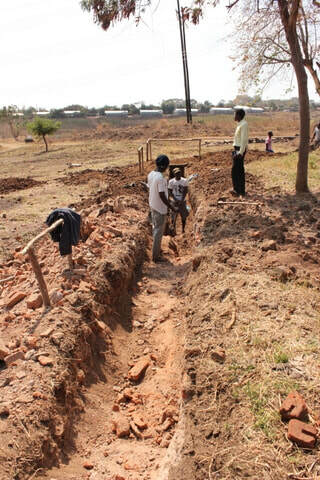 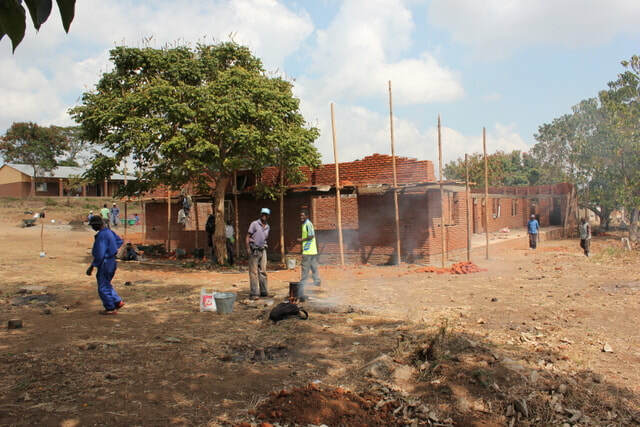 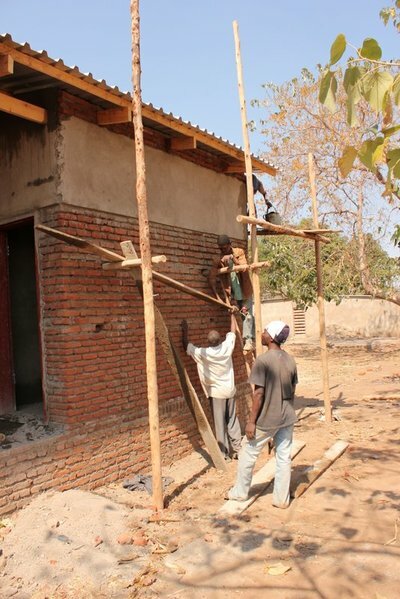 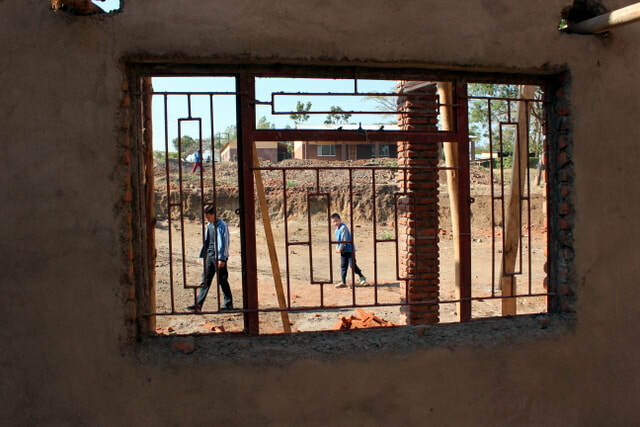 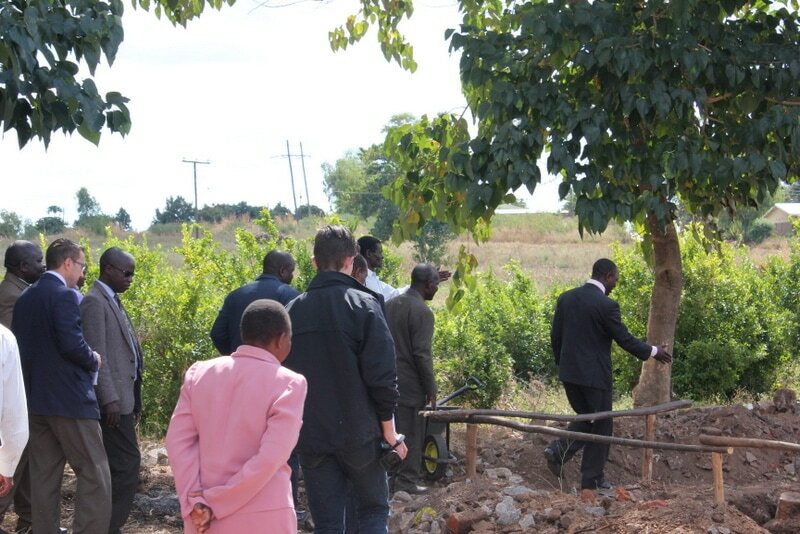 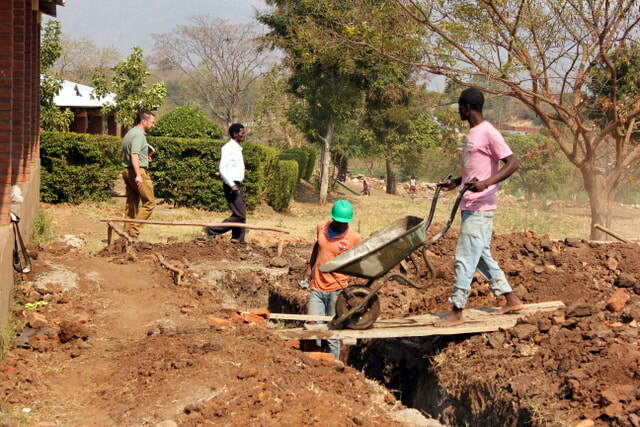 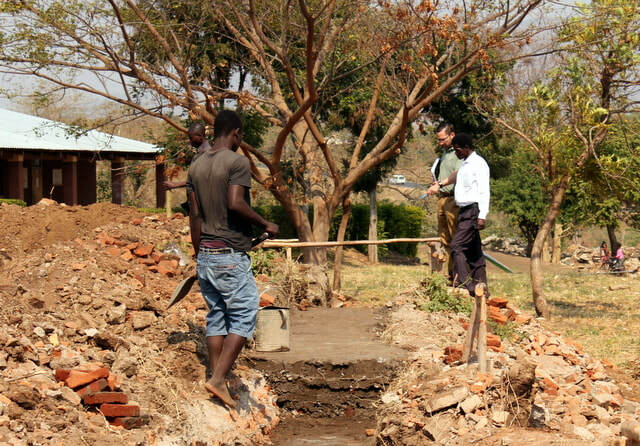 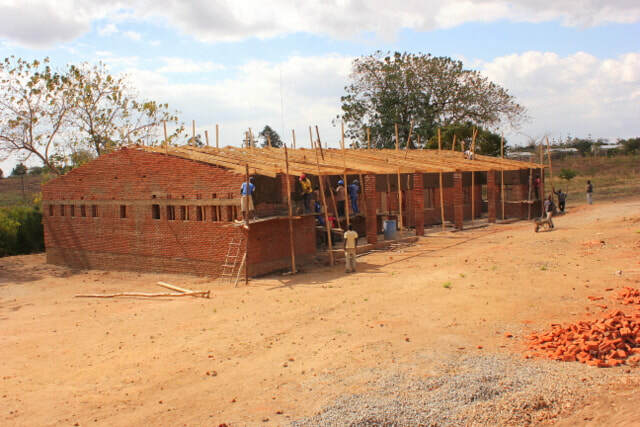 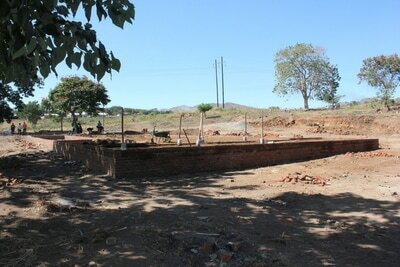 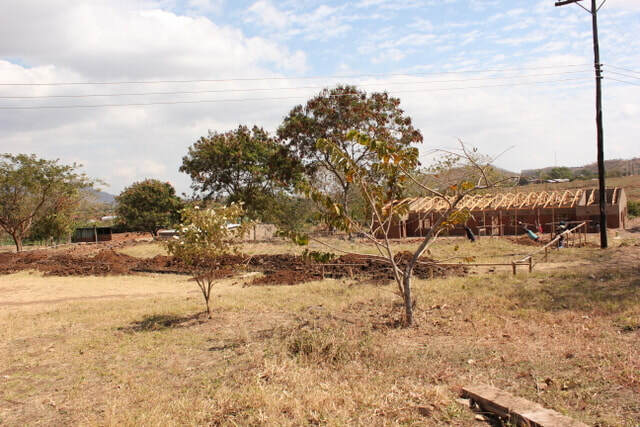 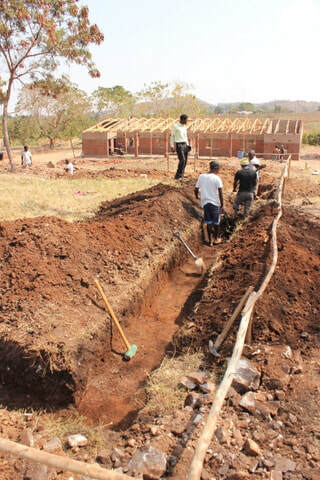 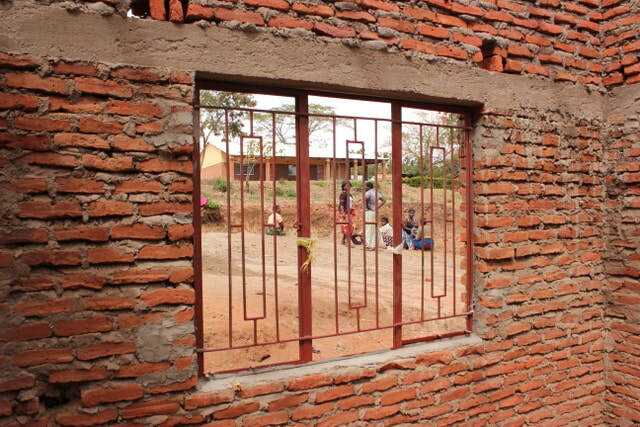 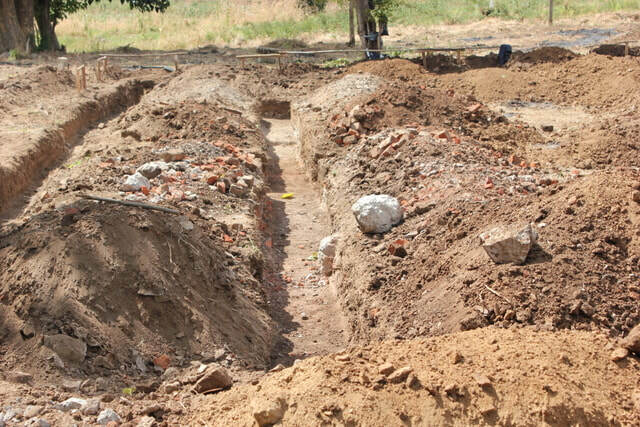 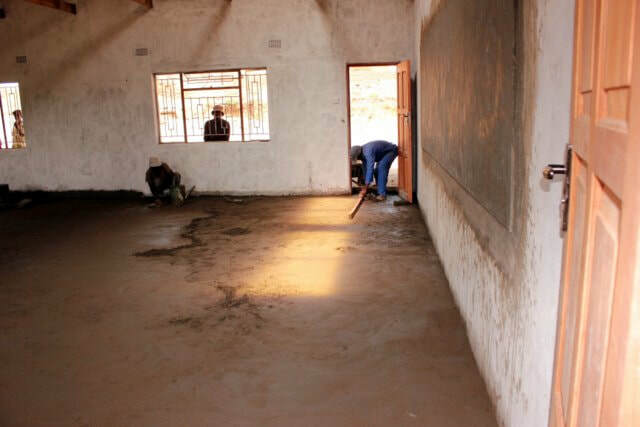 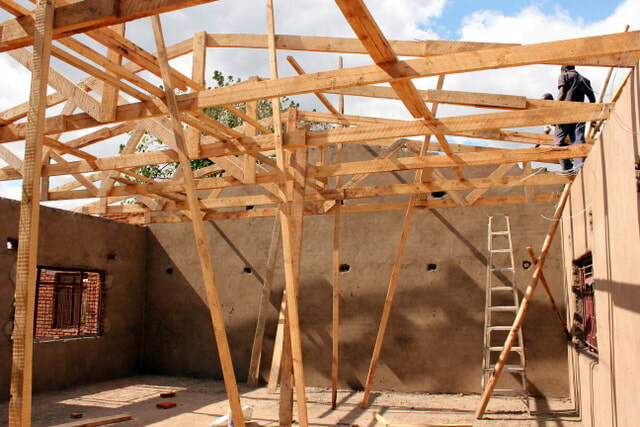 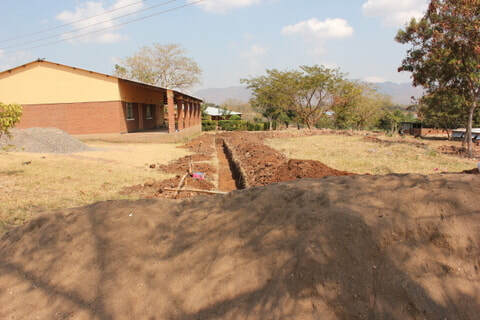 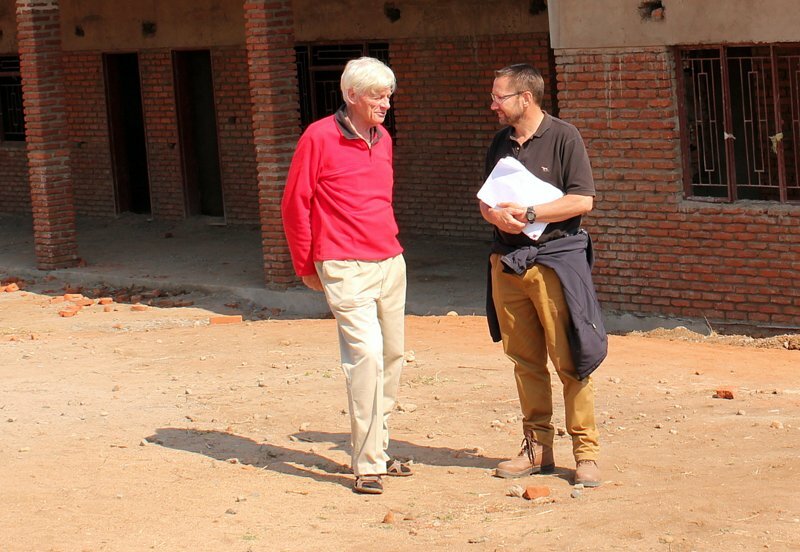 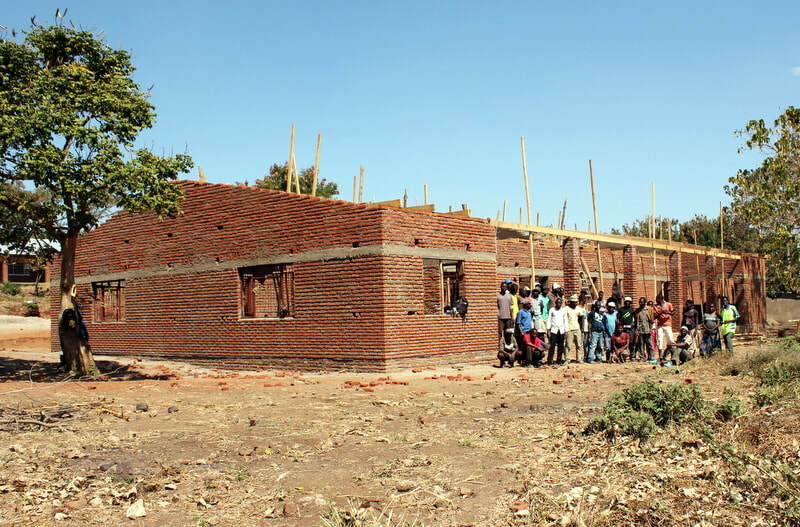 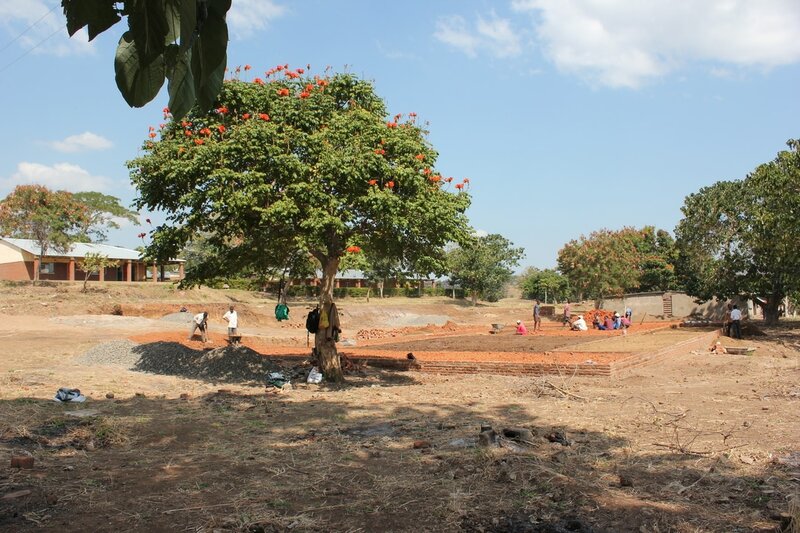 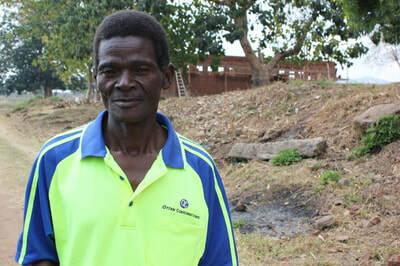 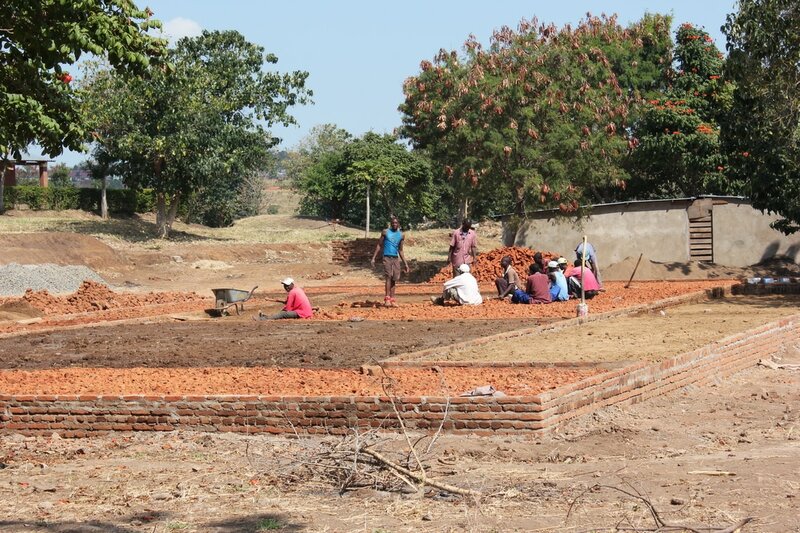 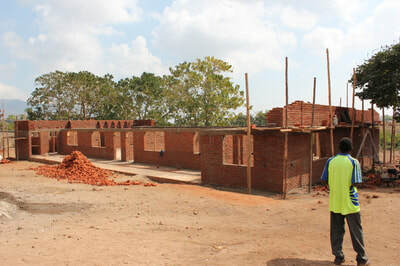 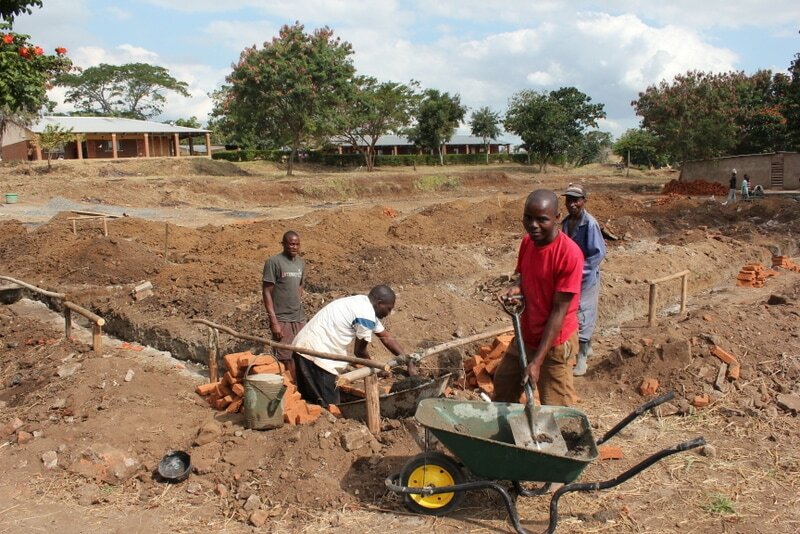 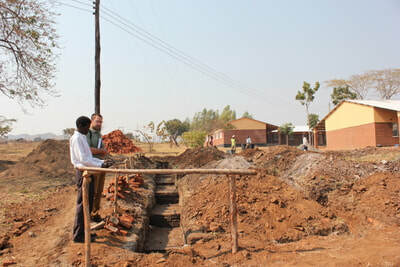 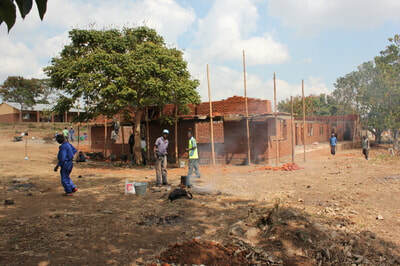 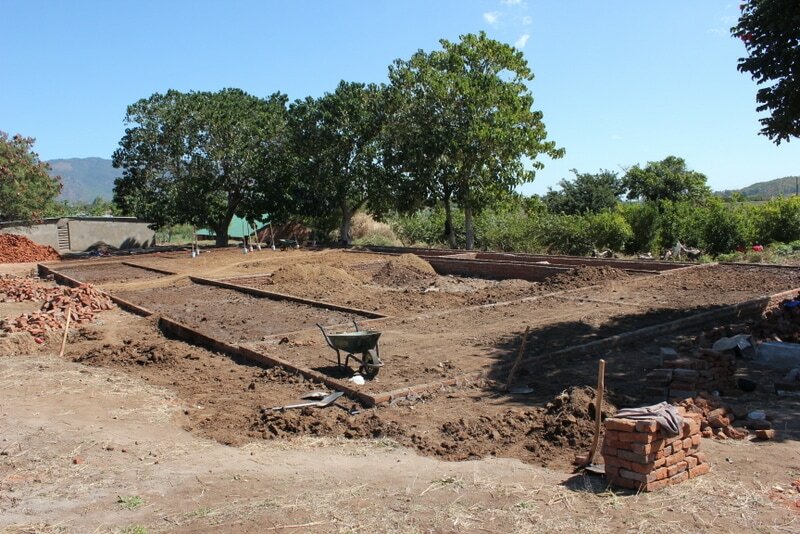 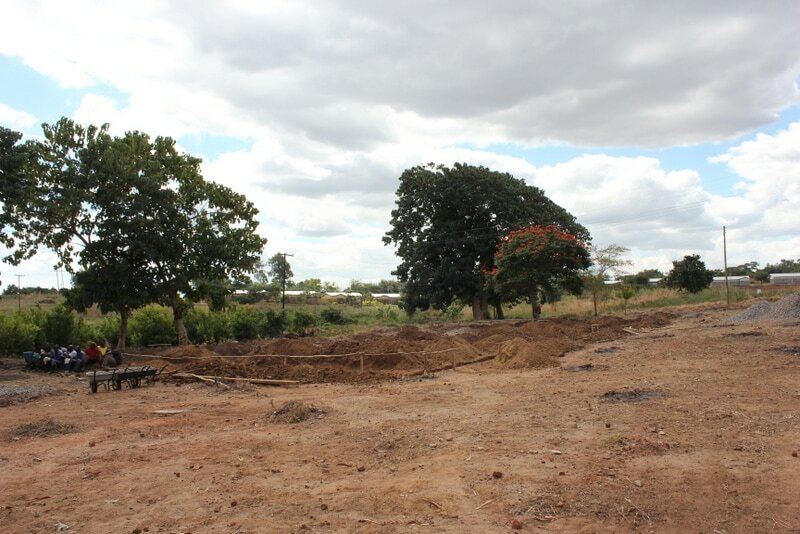 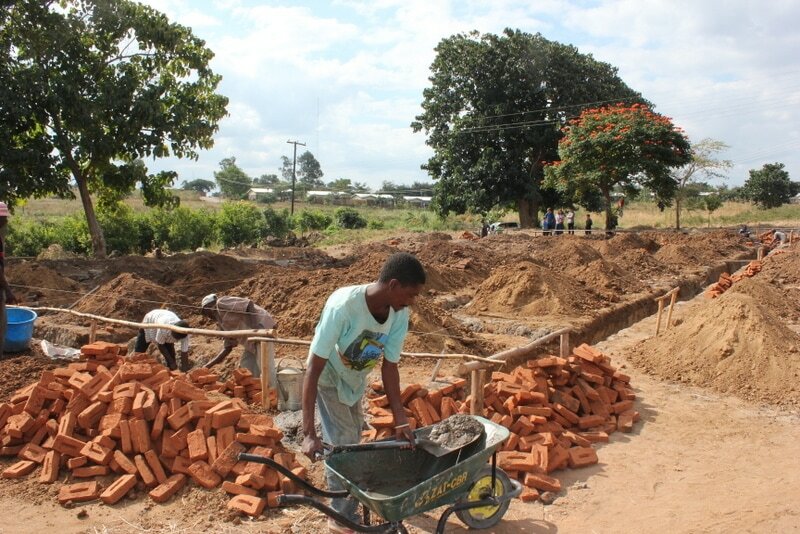 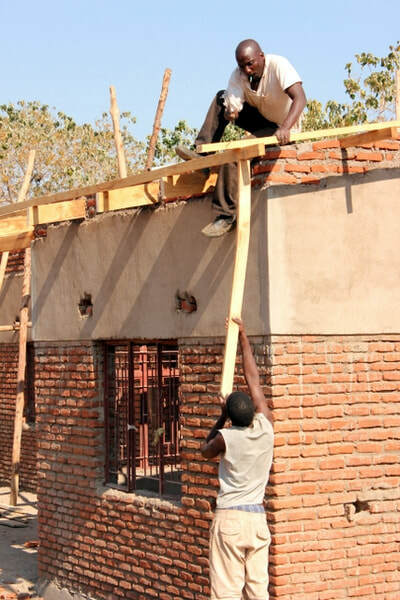 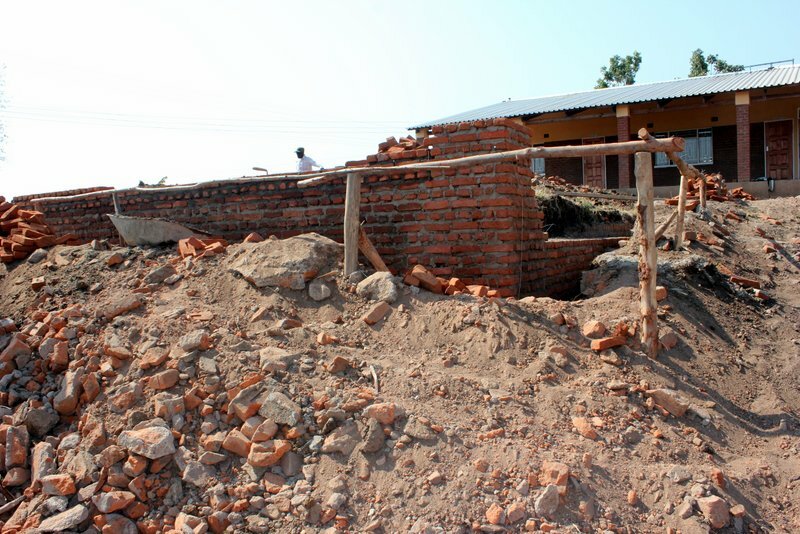 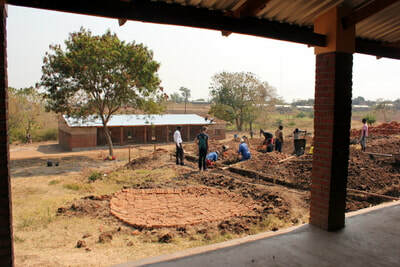 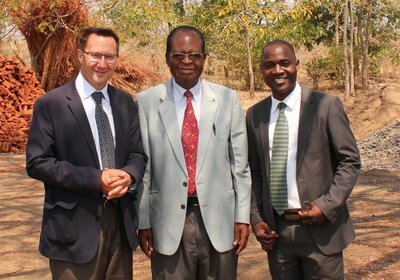 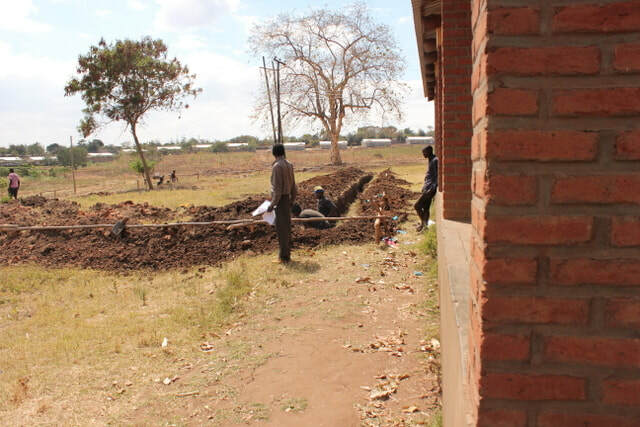 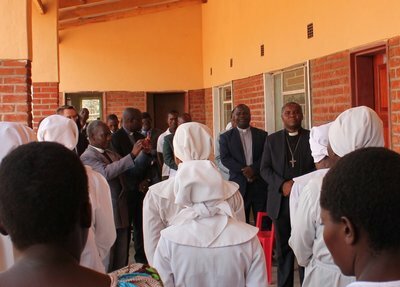 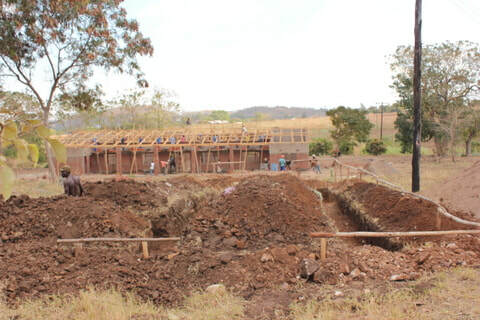 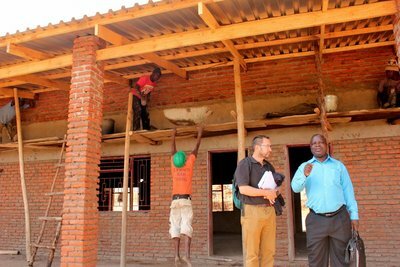 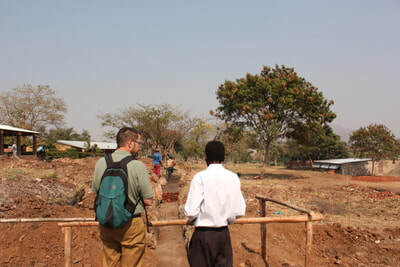 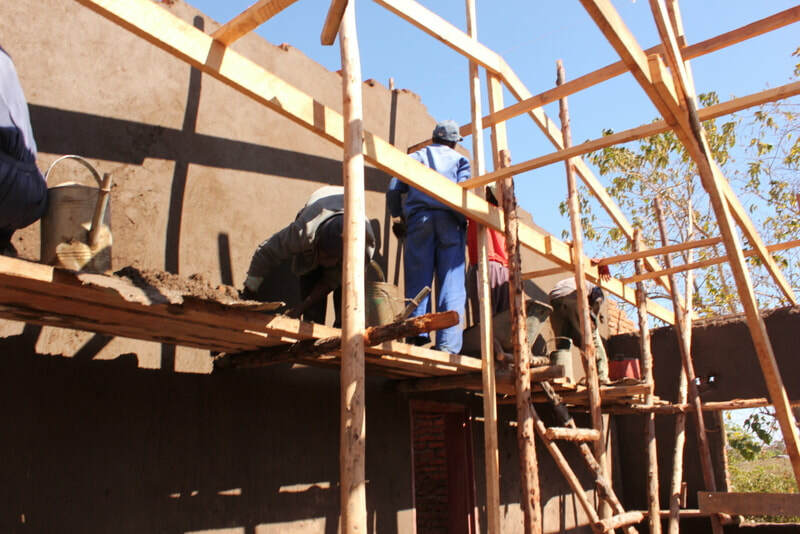 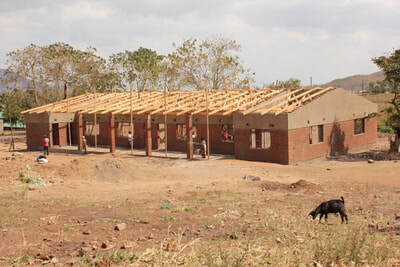 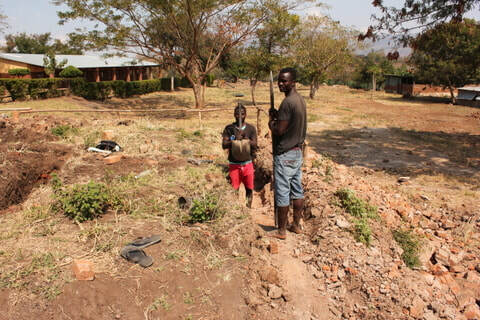 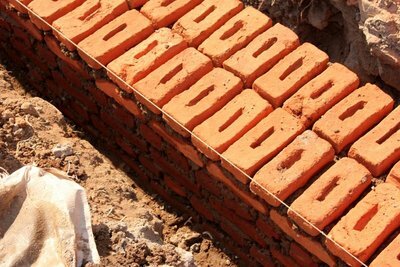 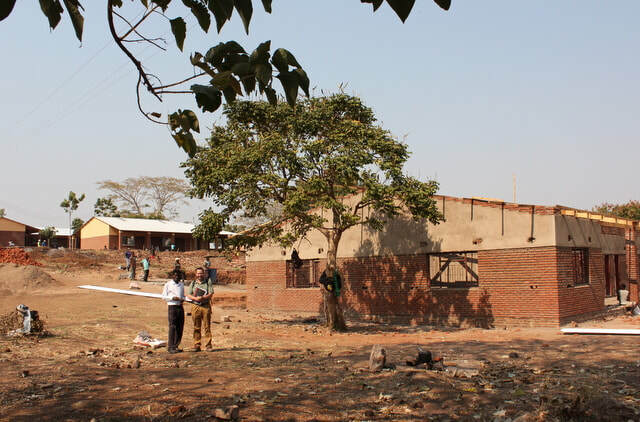 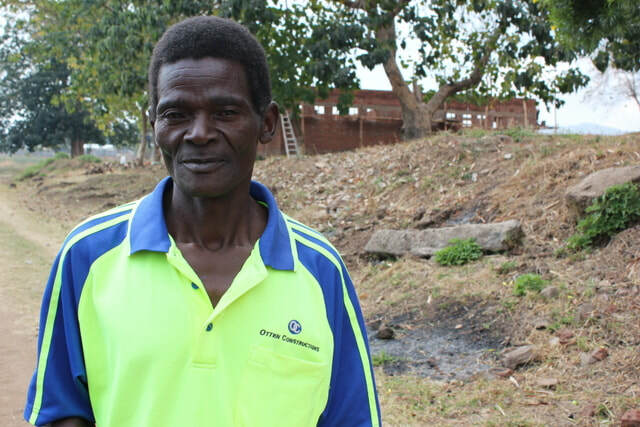 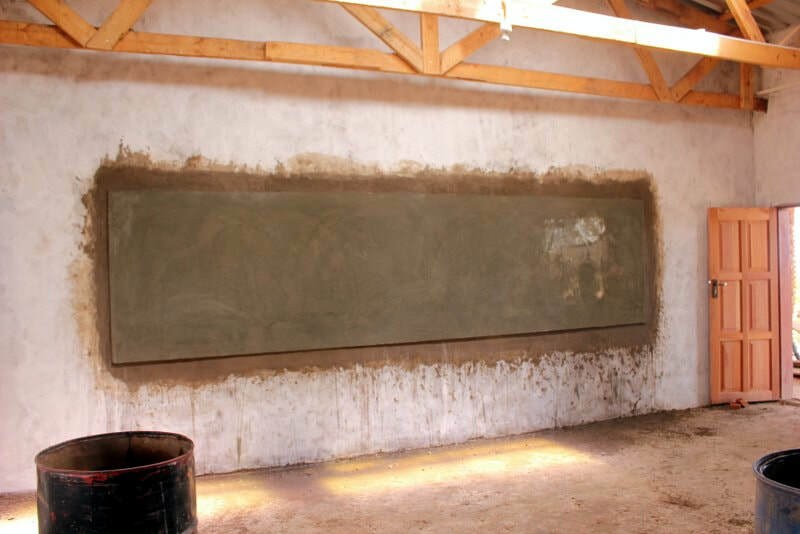 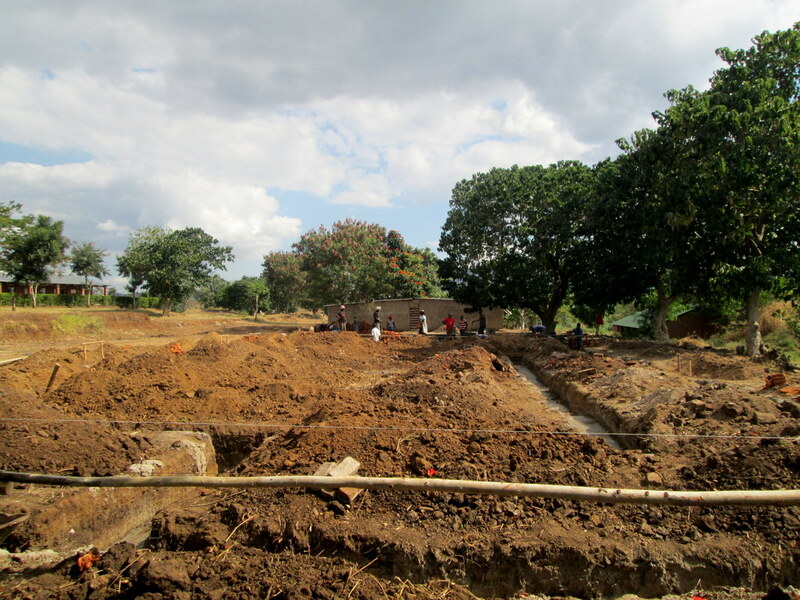 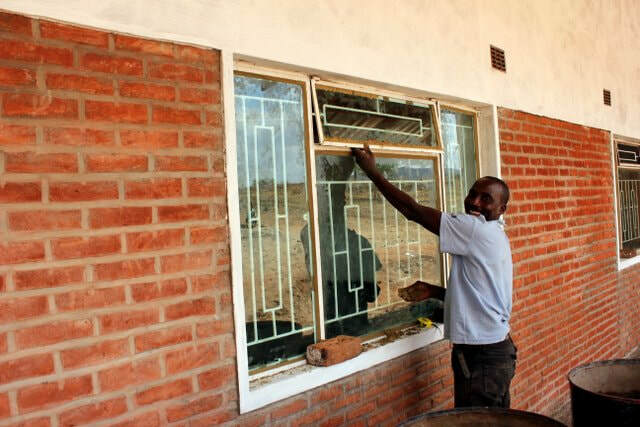 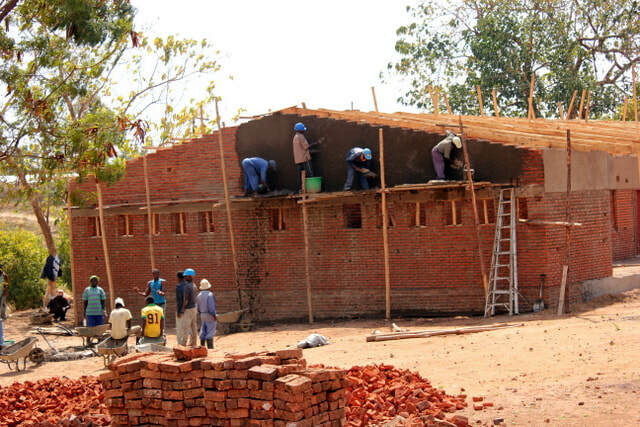 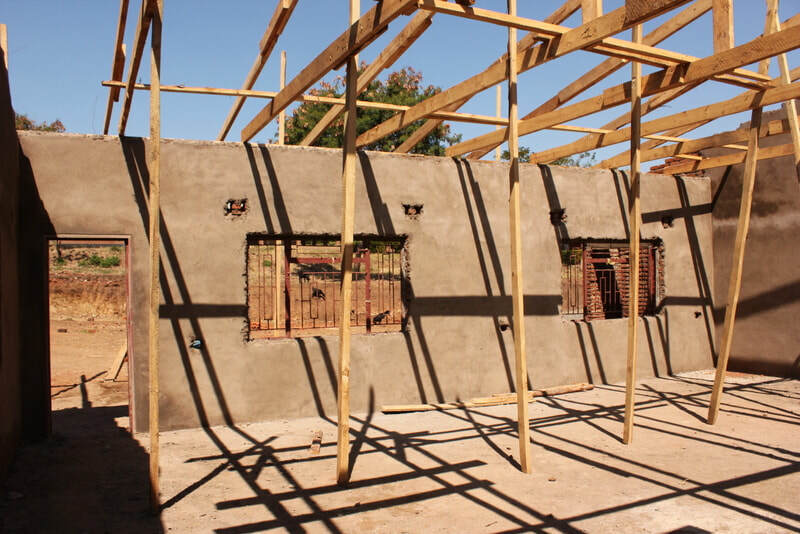 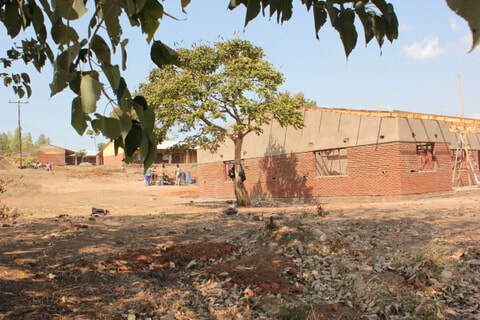 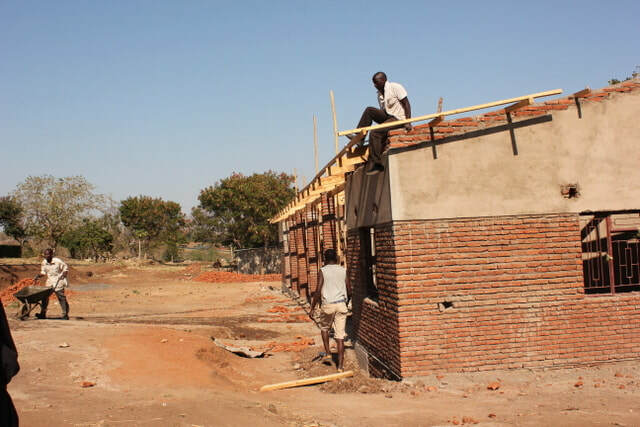 The plans to build the first classroom block to start the Orbus Mission Secondary School were confirmed with our partners here in Malawi, the CCAP Blantyre Synod, along with input and approval from the Synd Education Office, Orbus Headteacher and Orbus Farm Manager. 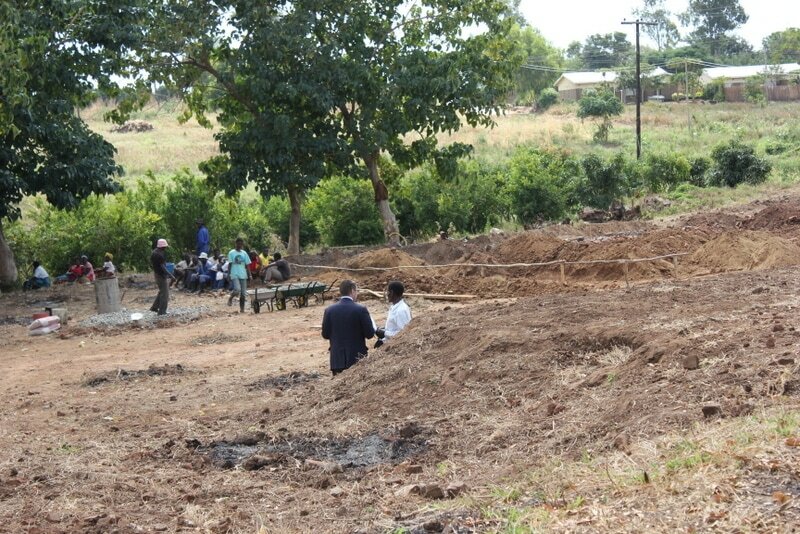 The site was selected and agreed by all and the site pegged on 28th June 2017 and the first ground broken on the 29th. 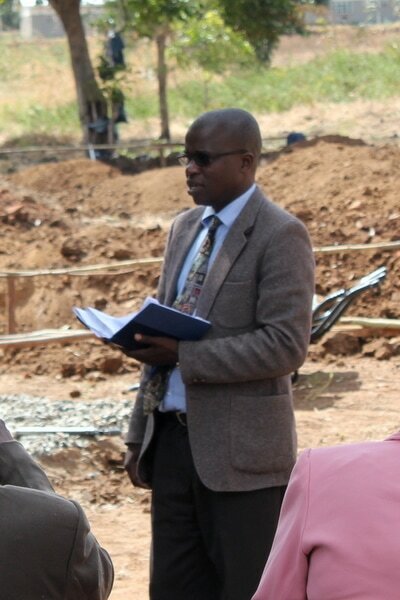 Second building, after consultation with all local stakeholders, the second classroom building (a replica of the first) and its location was agreed to at a joint on-site meeting on and work started on 7th August 2017 by our building foreman Lameck Chitela. 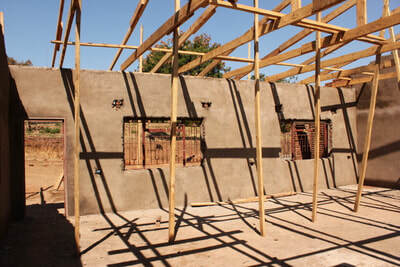 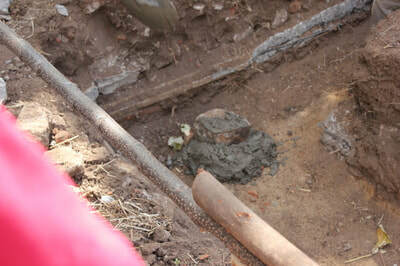 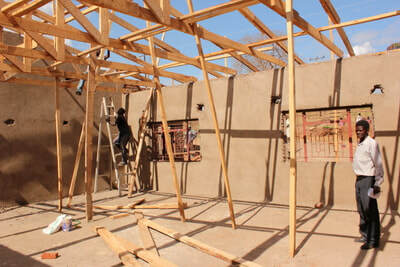 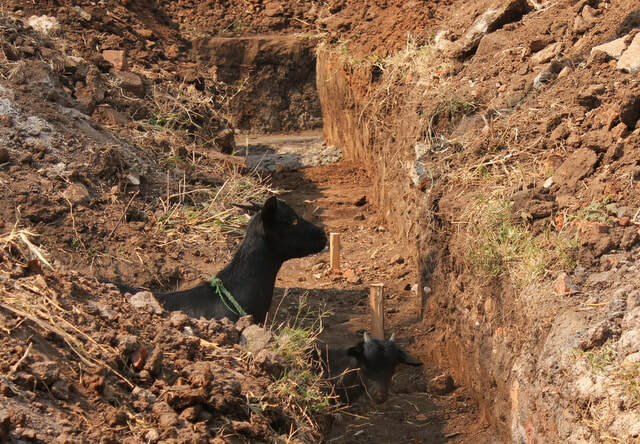 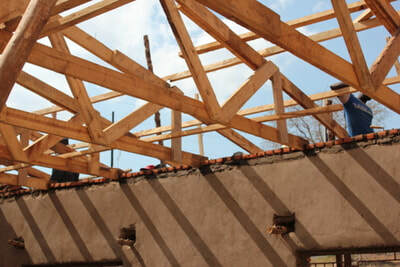 Following is a selection of photos showing the building progress from beginning to end. 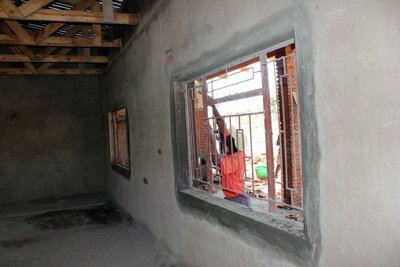 ​1st August 2017. 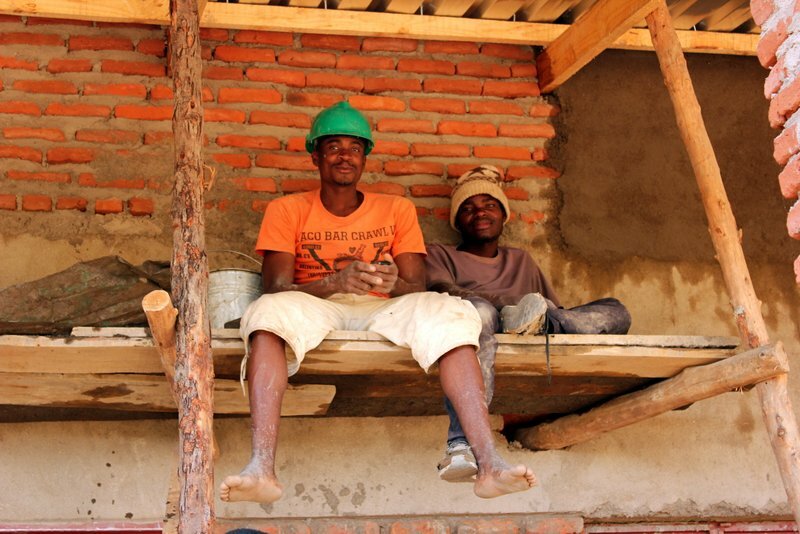 Something is powering these builders on. It was just two months ago this coming Thursday (on the 3rd June 2017) that the cornerstone was laid. 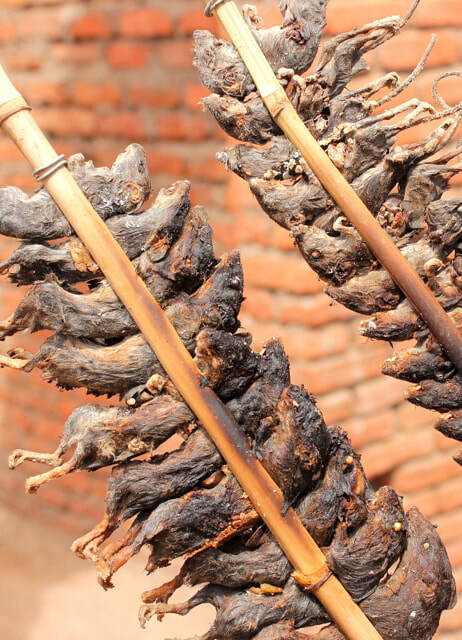 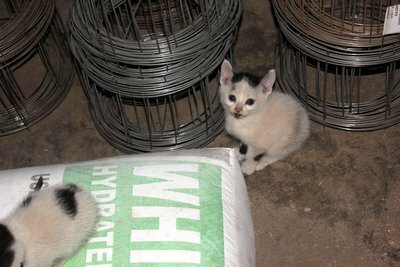 Maybe it is the crunchy mice! 11th August 2017. 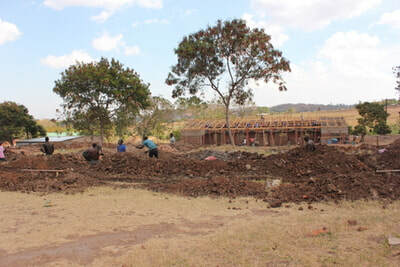 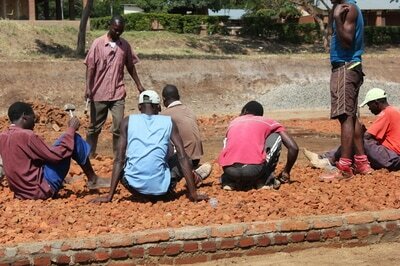 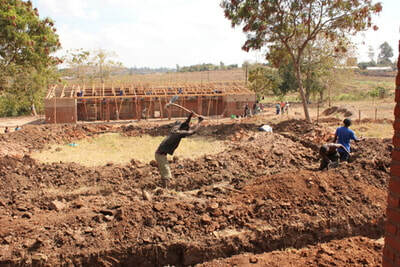 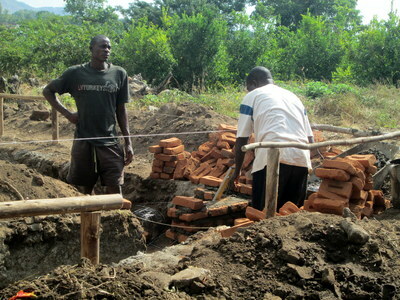 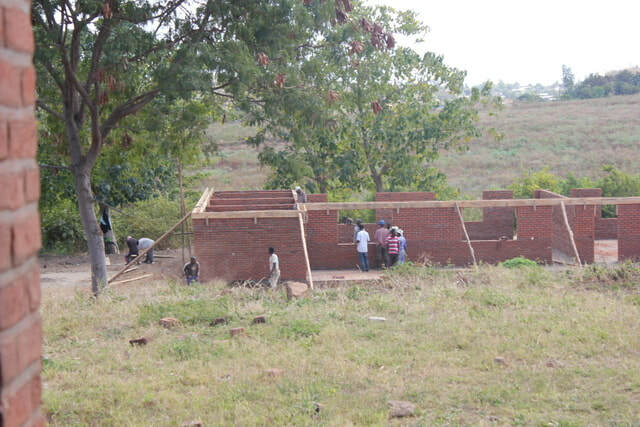 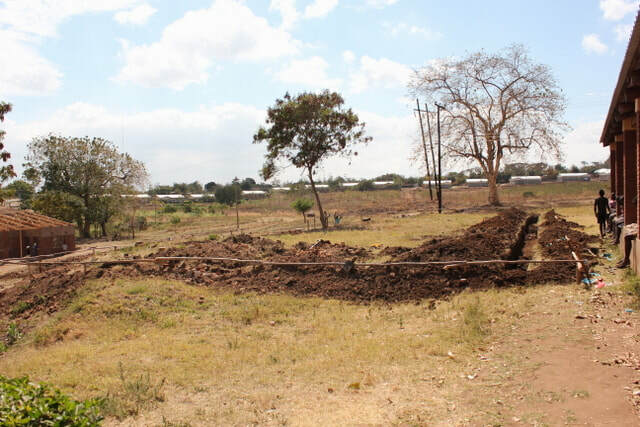 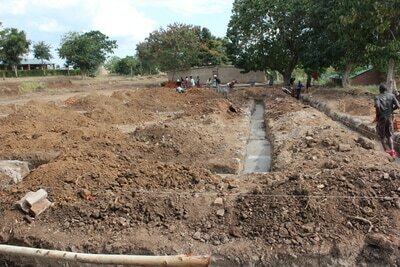 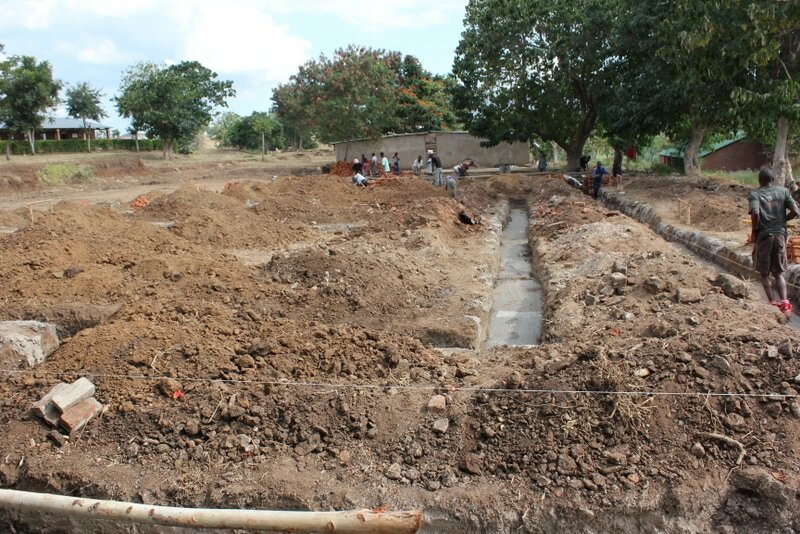 The second classroom building begins. 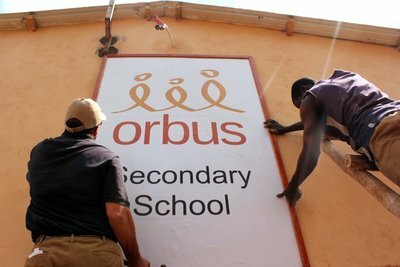 11th September 2017: Opening Ceremony to celebrate the completion of the first secondary school block and to mark the beginning of the "Orbus Mission Secondary School". (3 months and 13 days from first site peg).